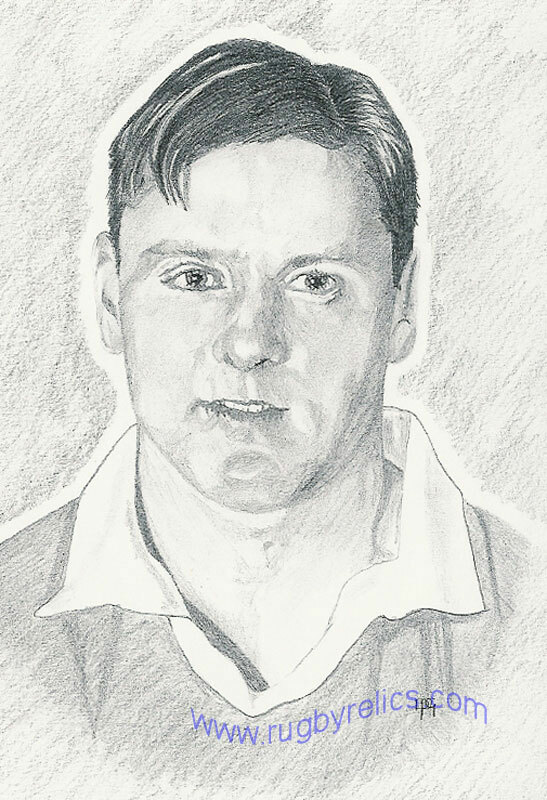 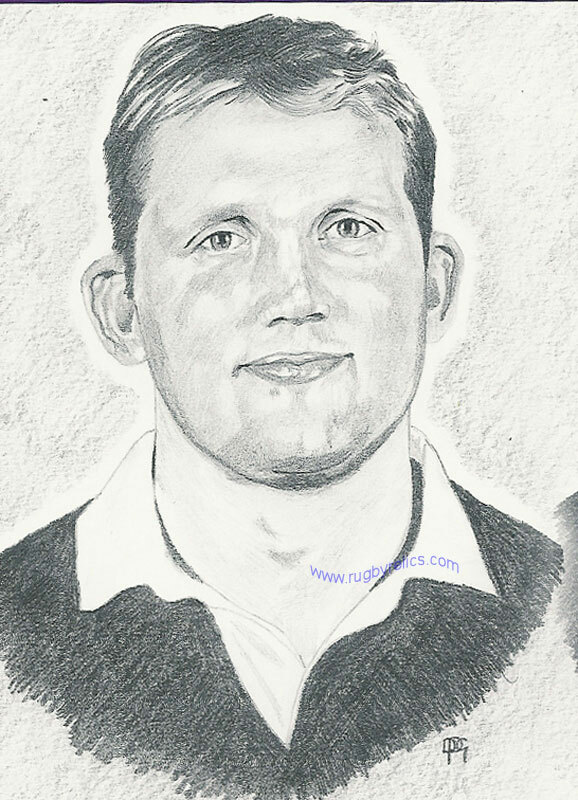 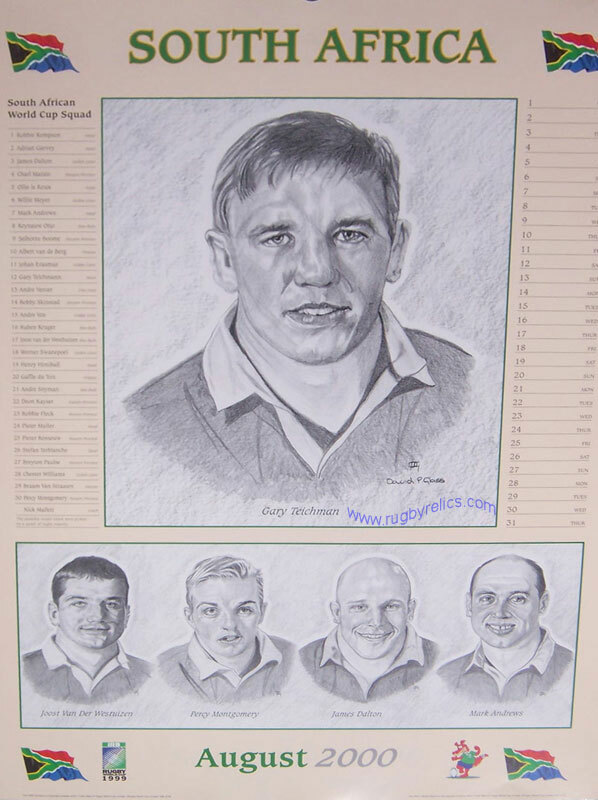 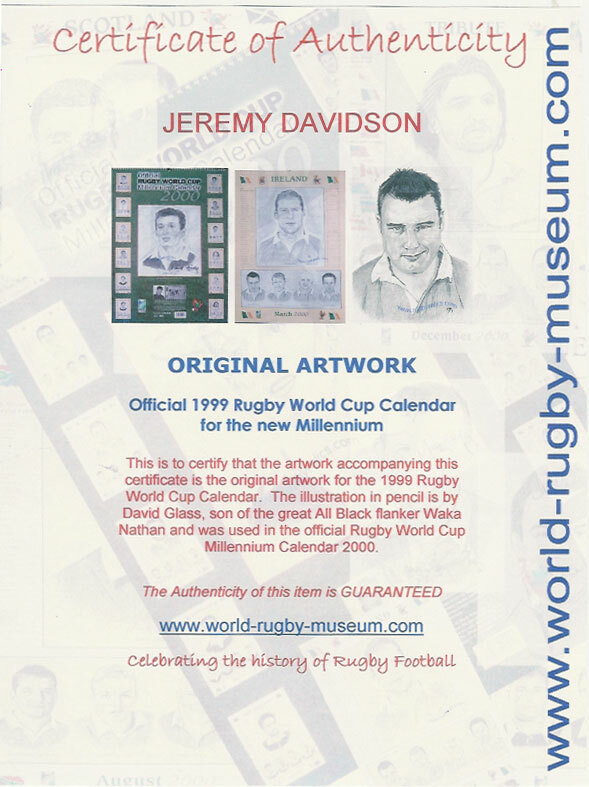 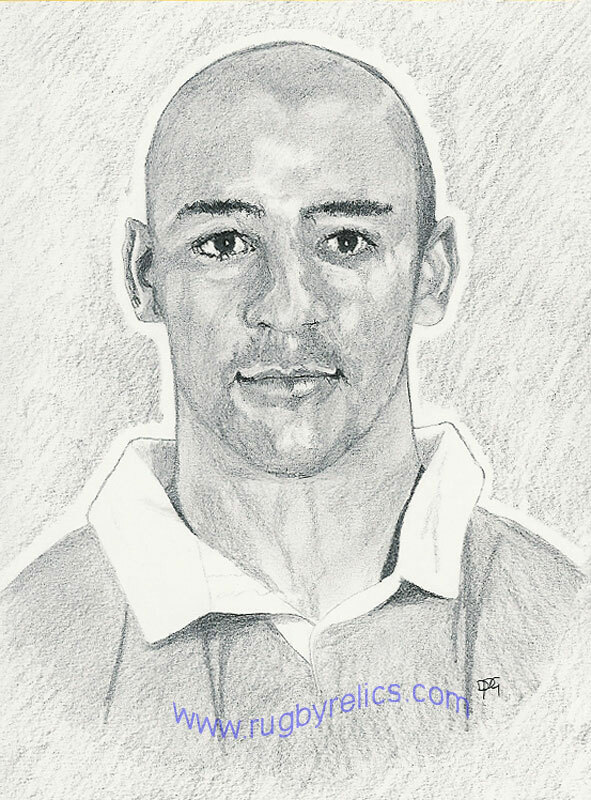 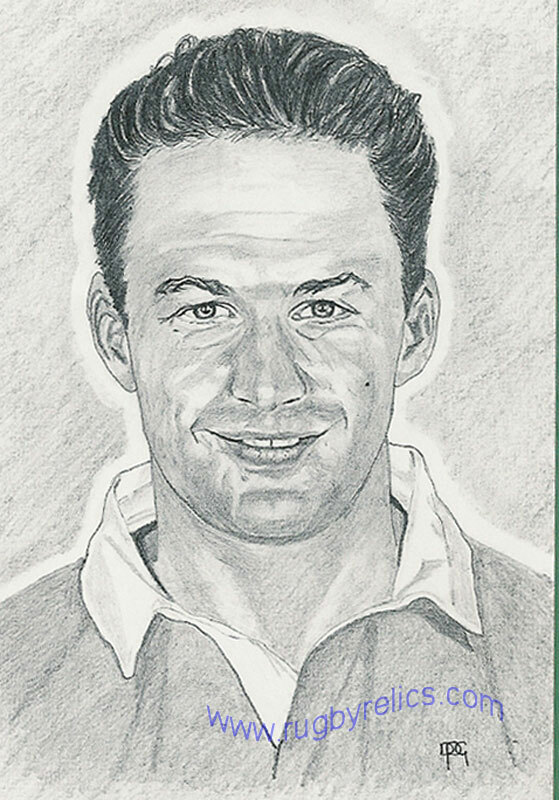 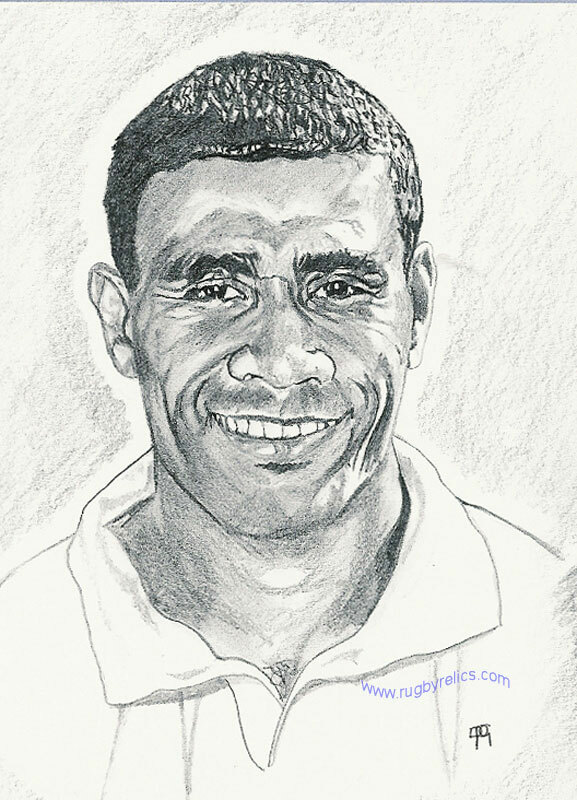 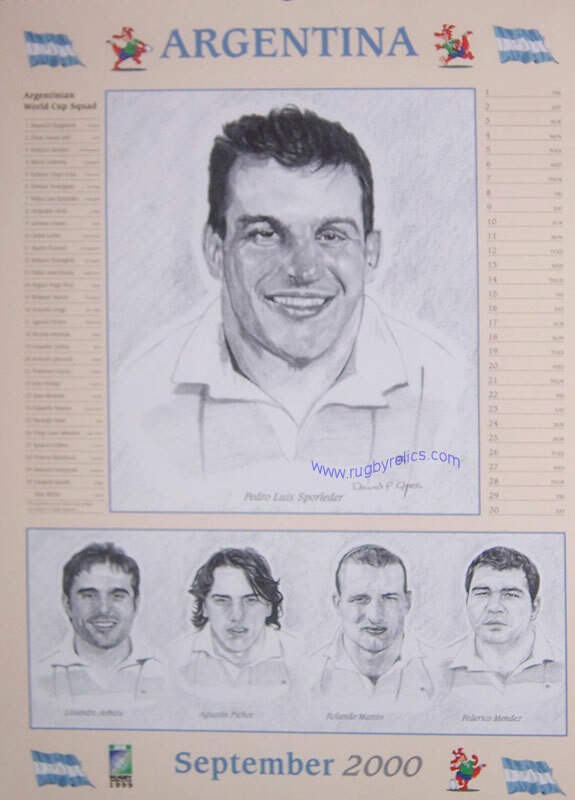 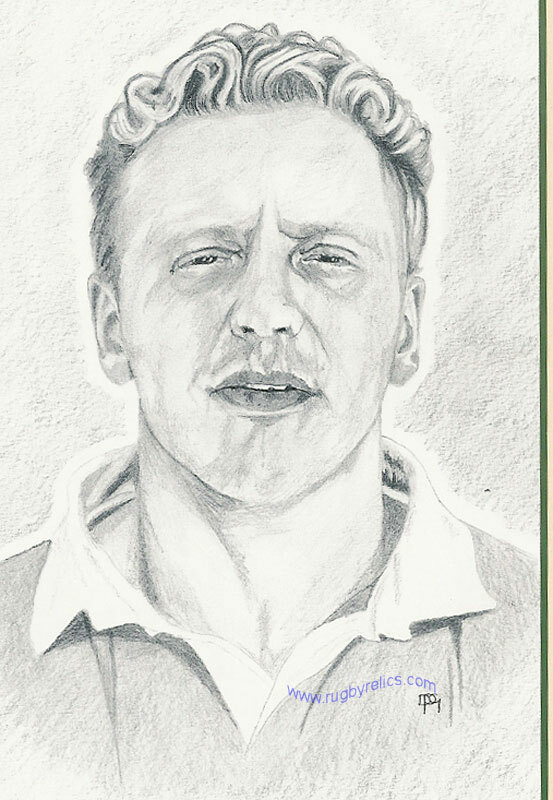 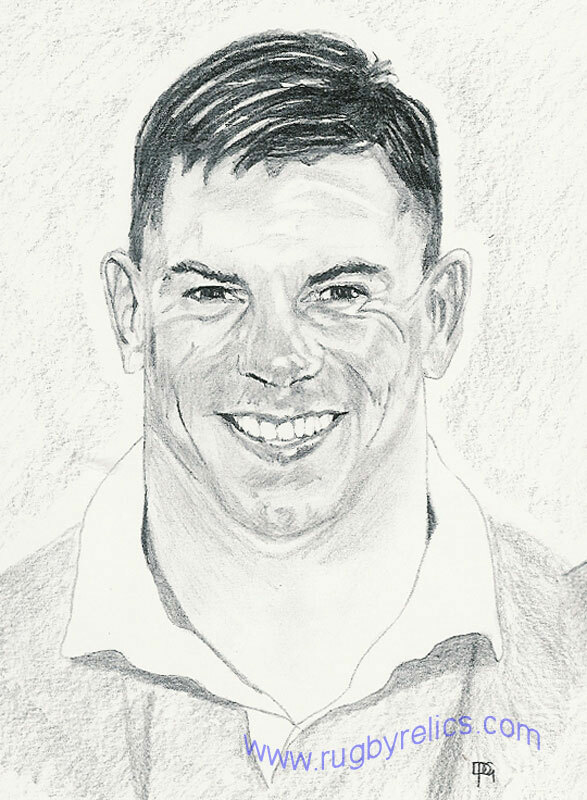 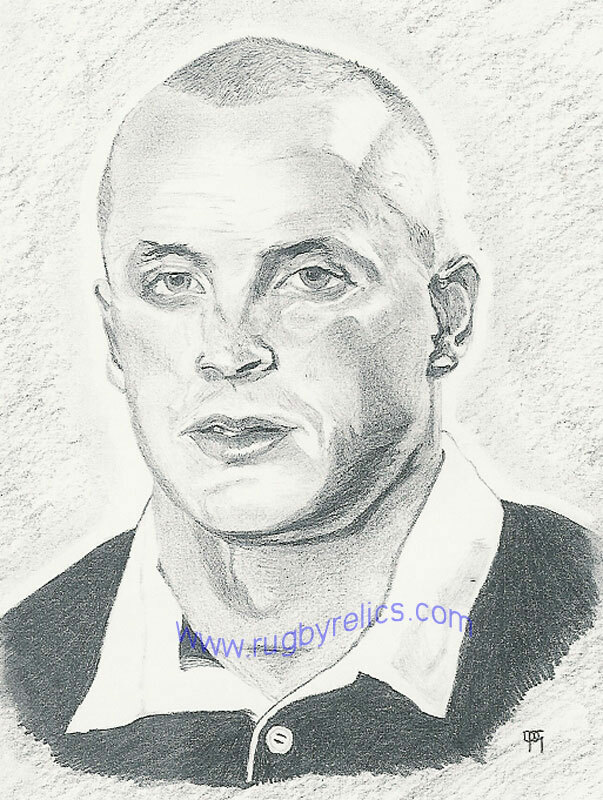 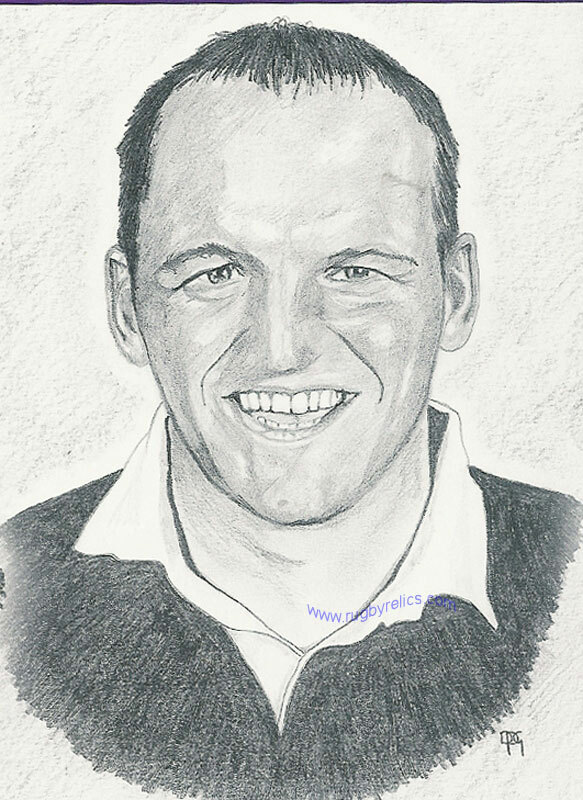 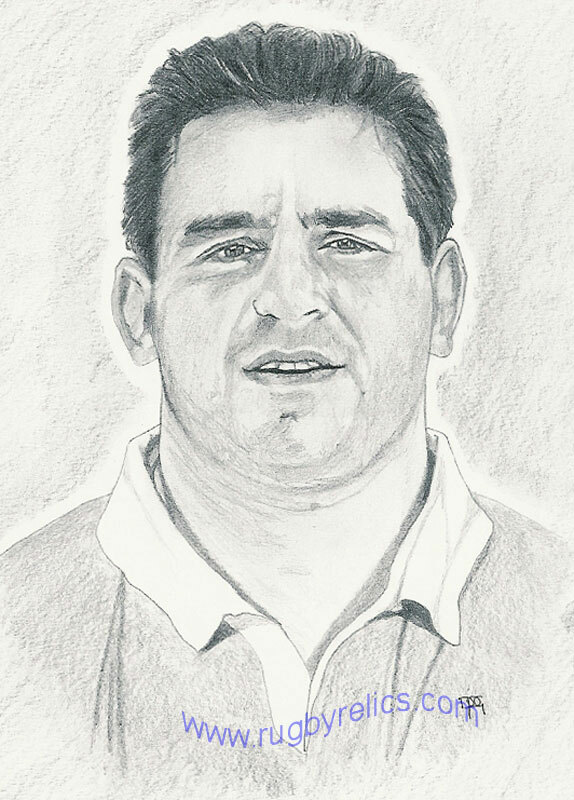 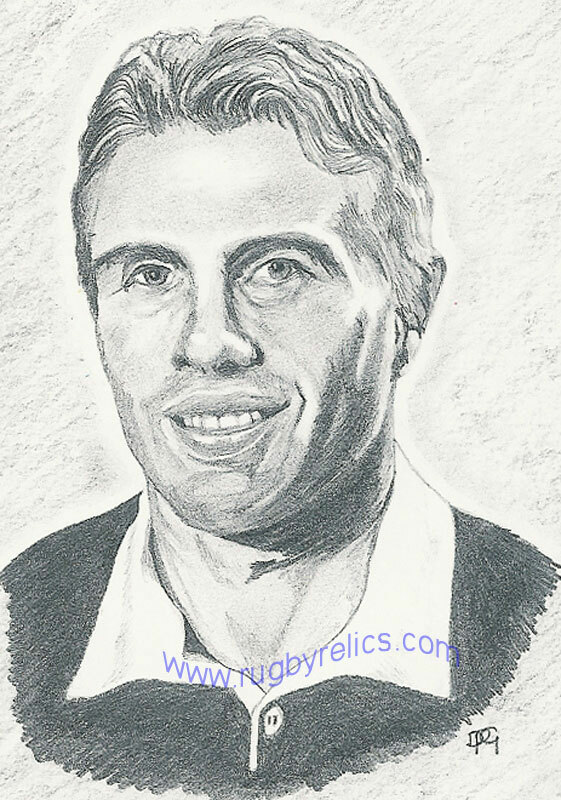 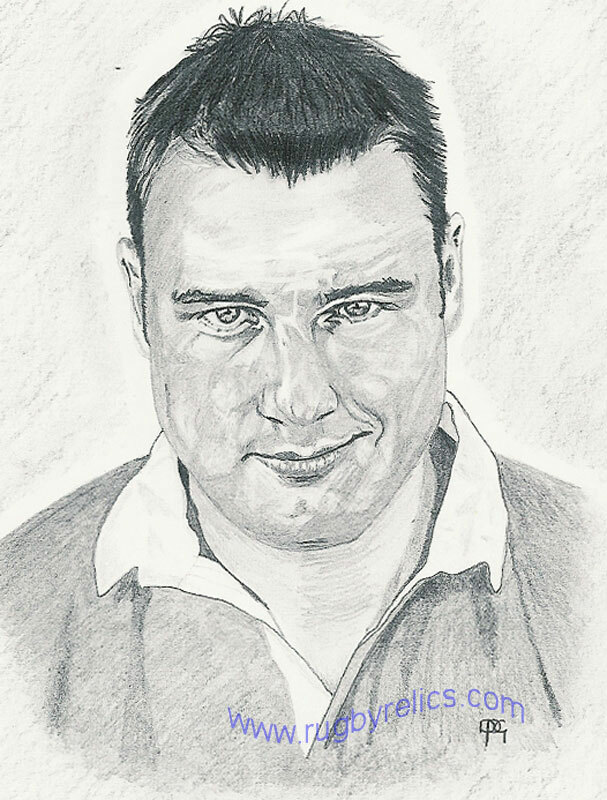 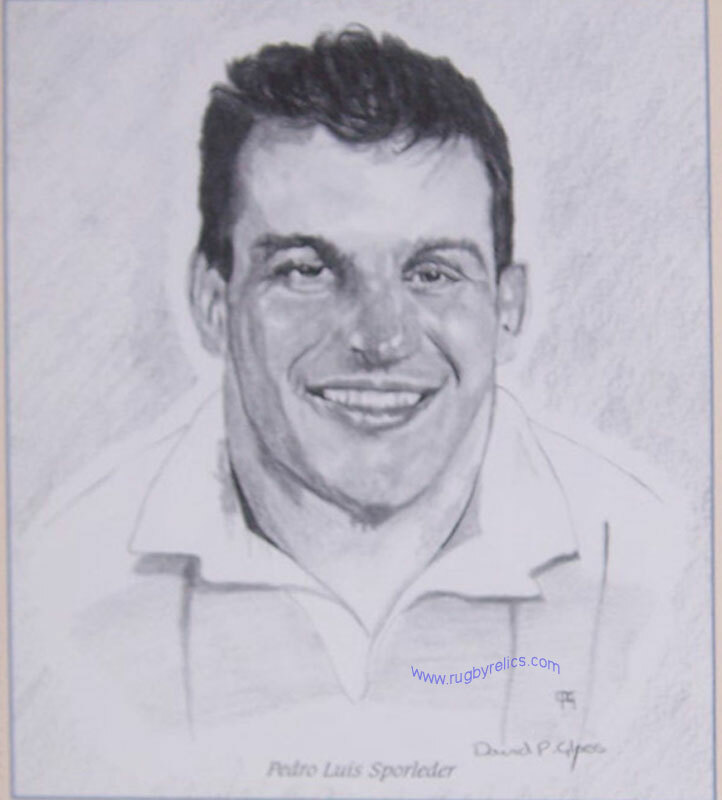 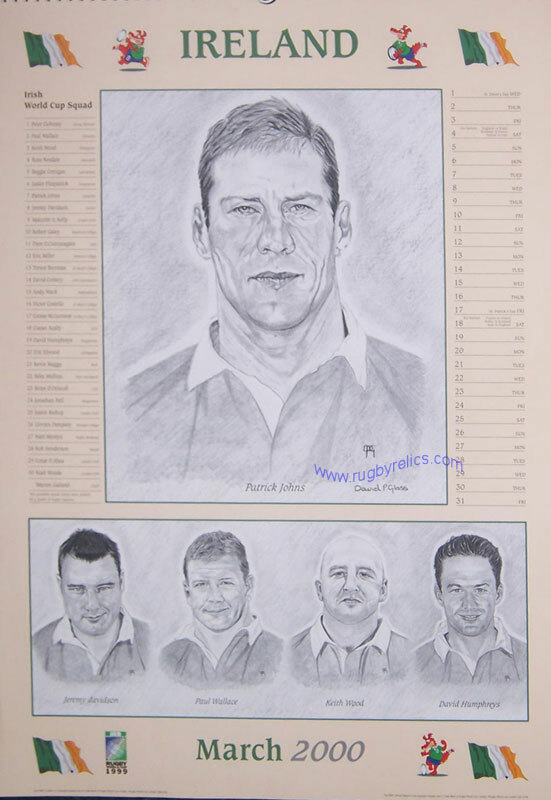 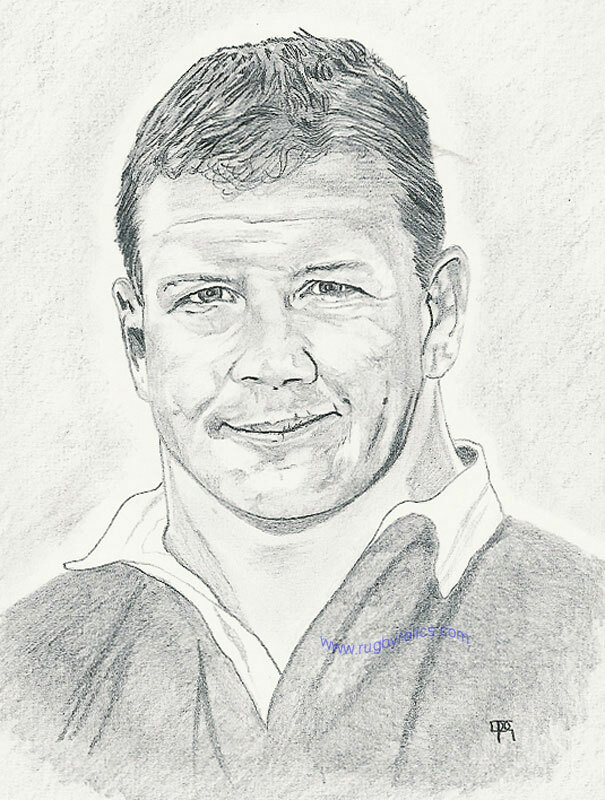 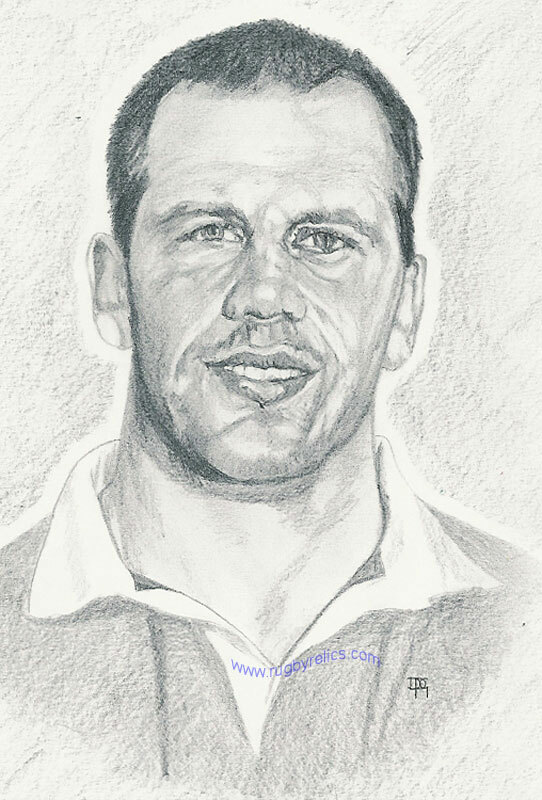 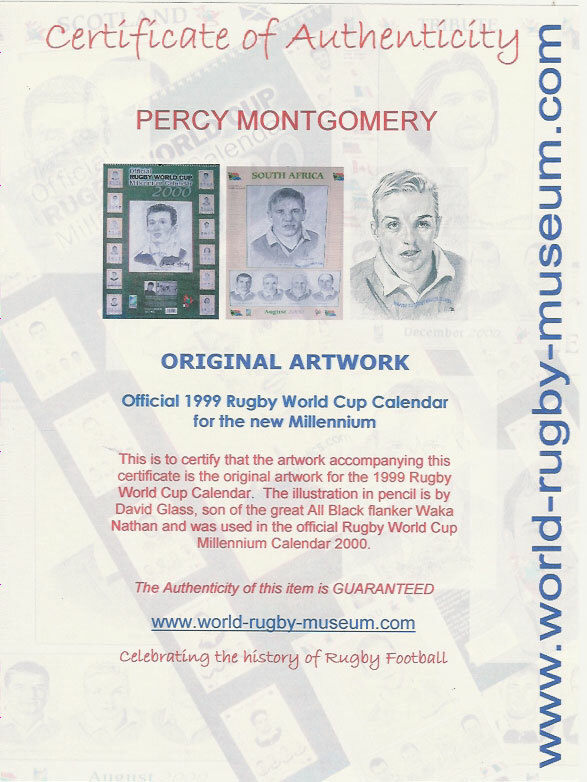 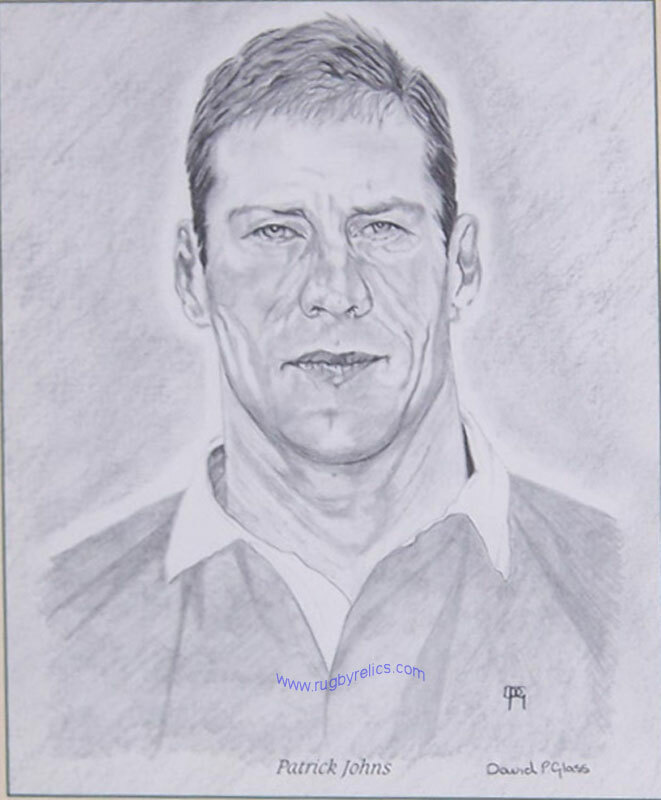 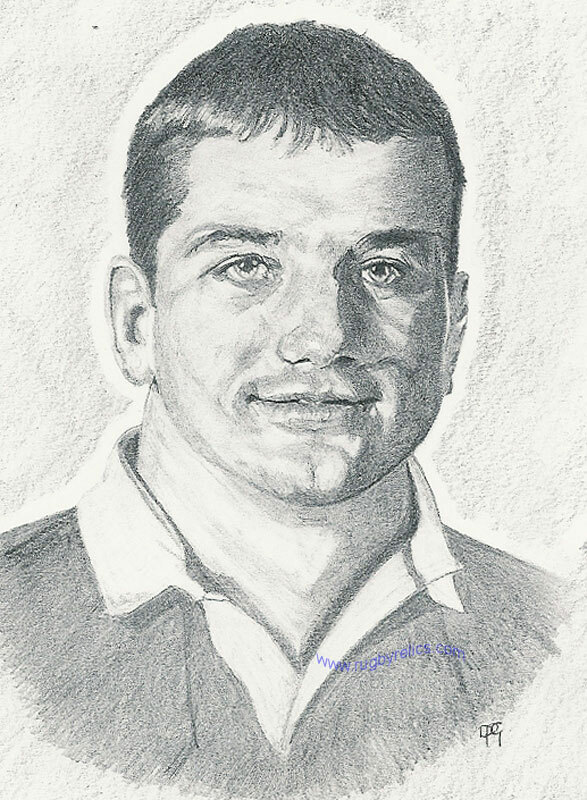 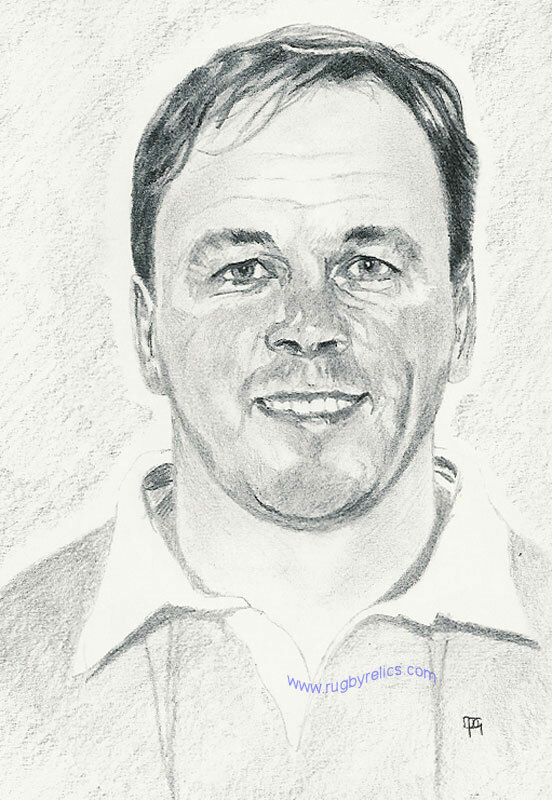 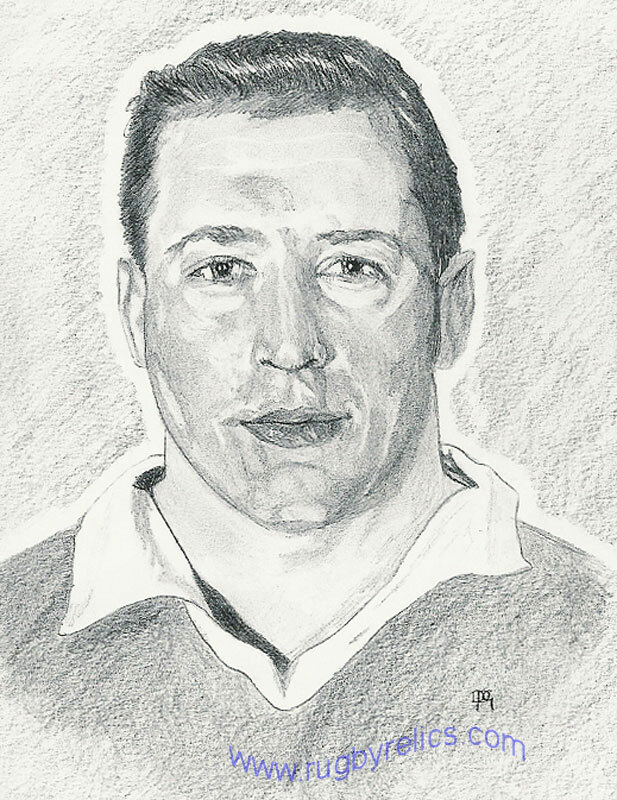 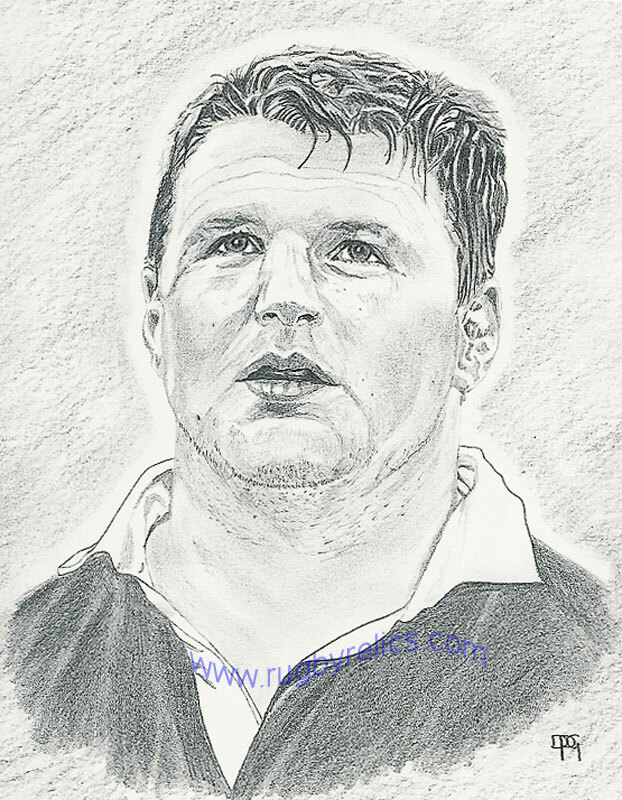 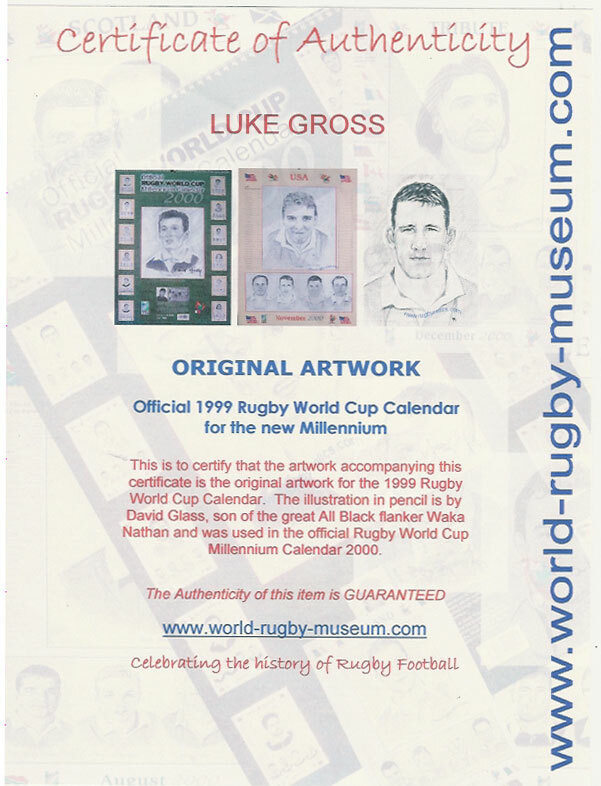 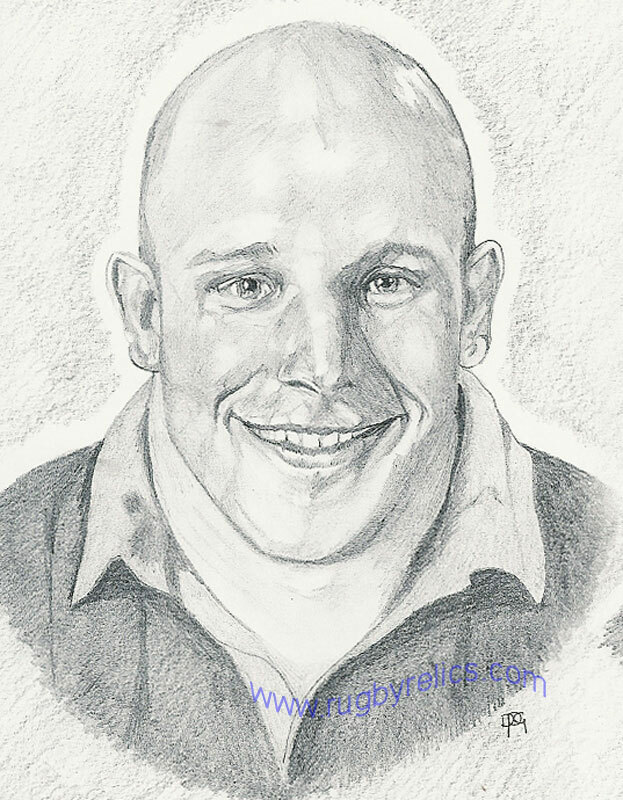 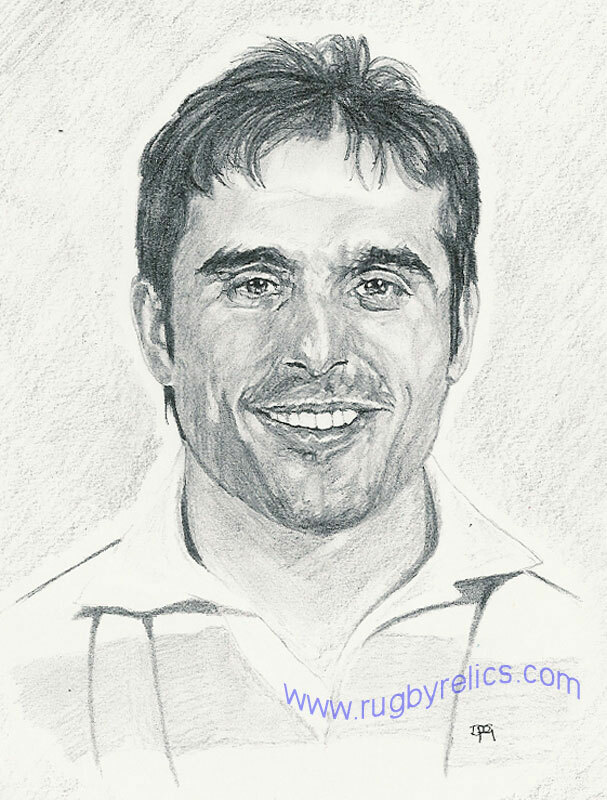 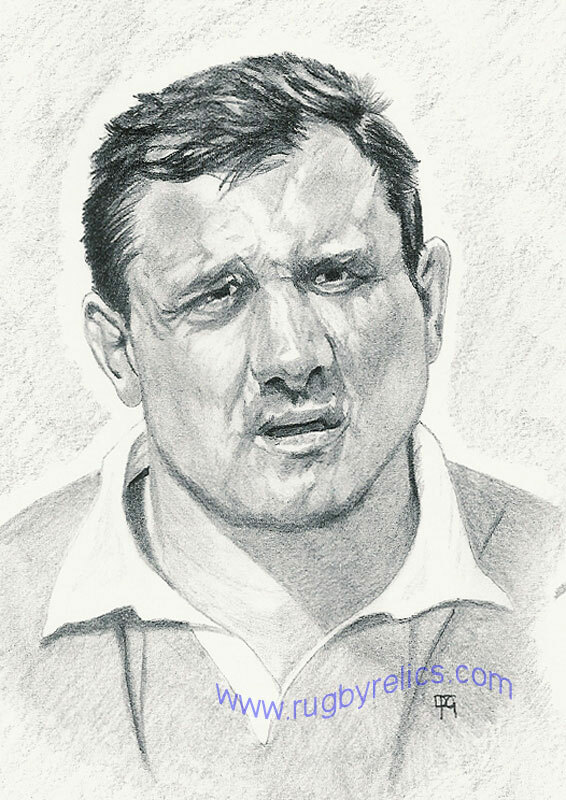 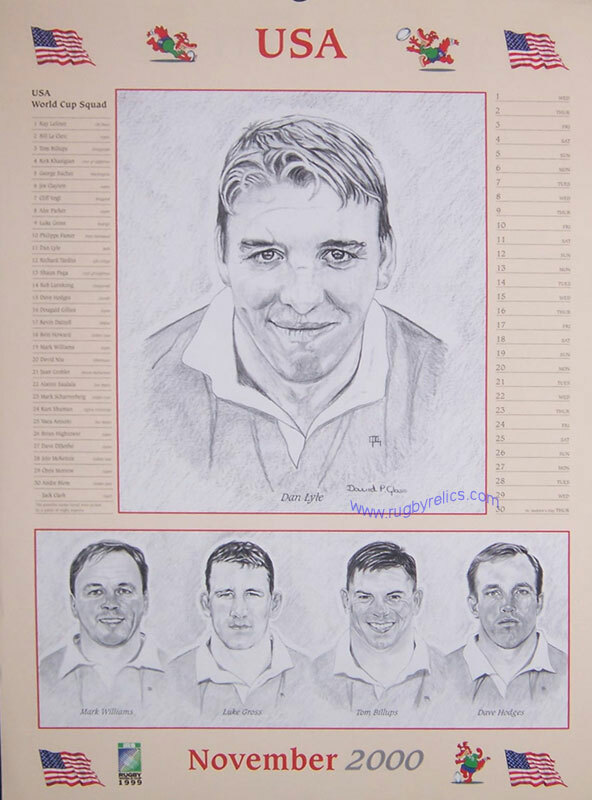 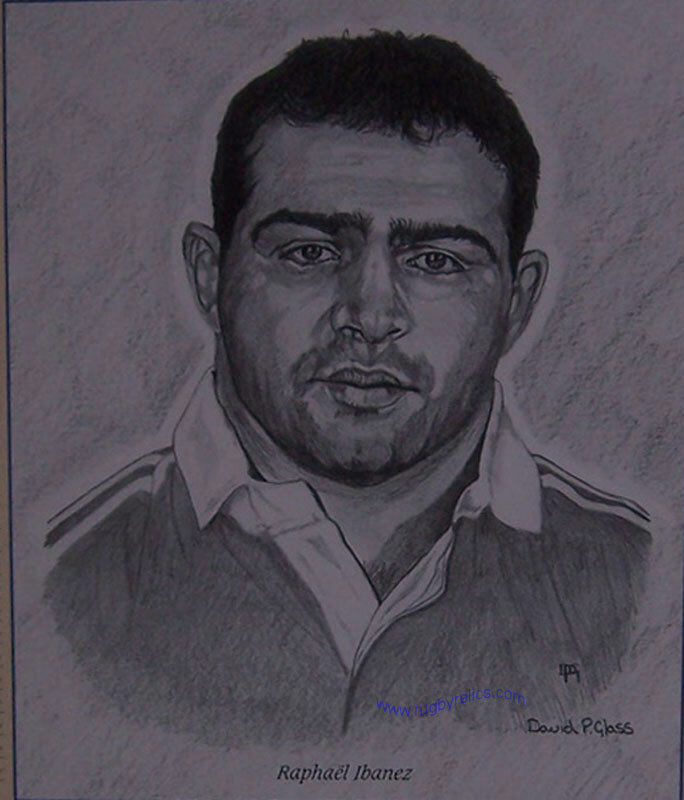 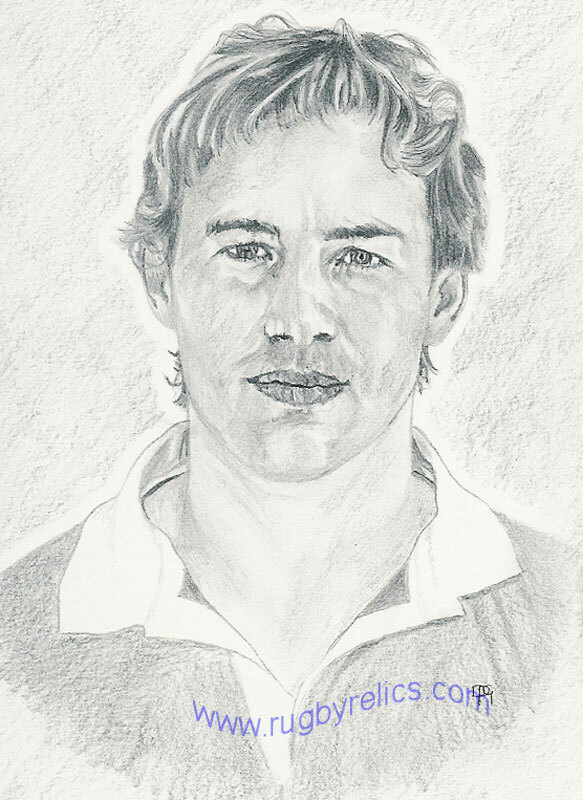 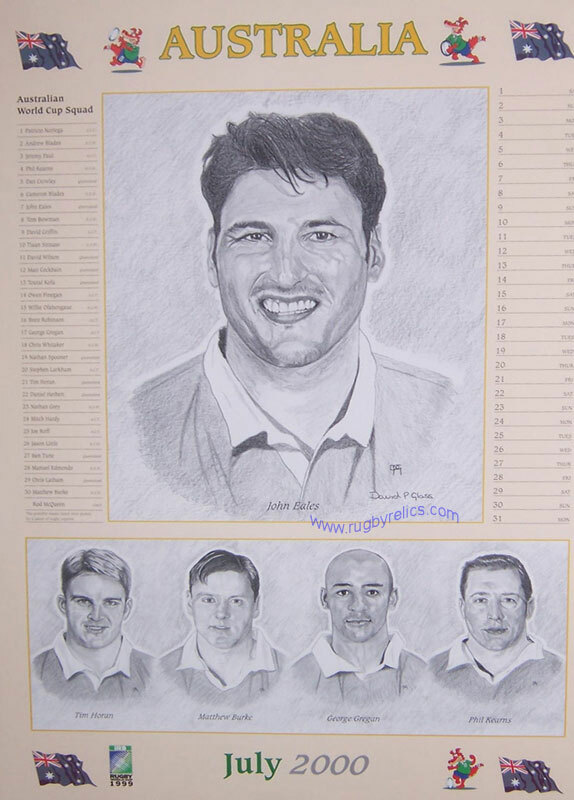 Rugby Relics are proud to be able to offer the majority of the original artwork for the 1999 Rugby World Cup Calendar by David Glass. 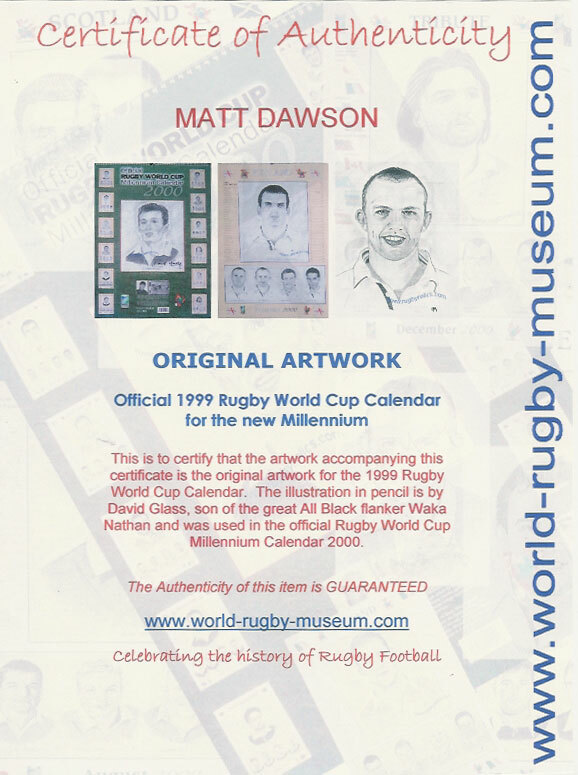 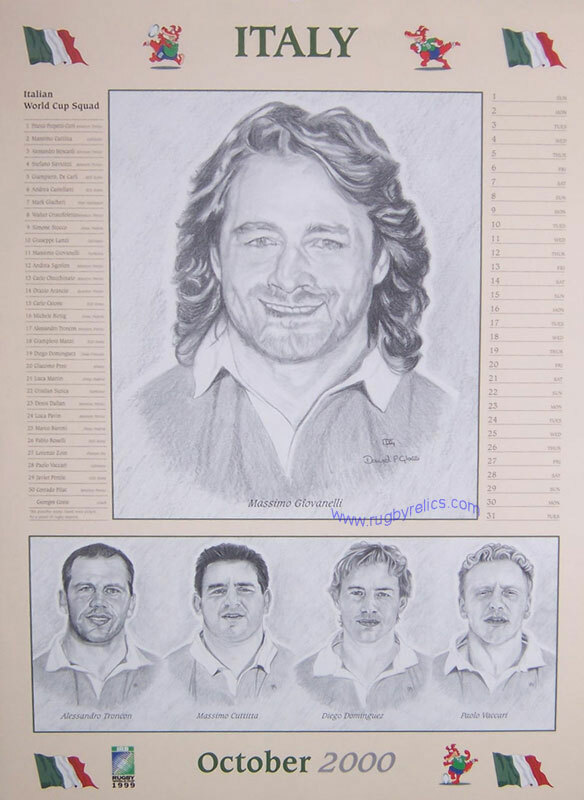 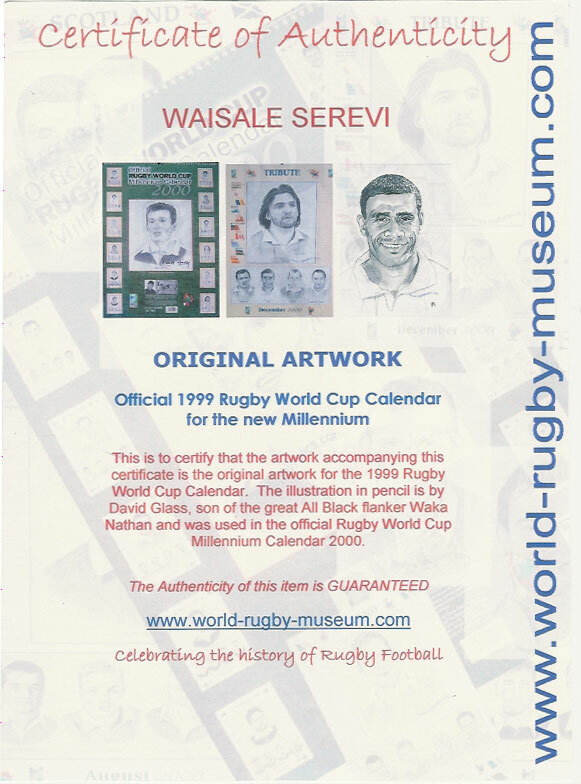 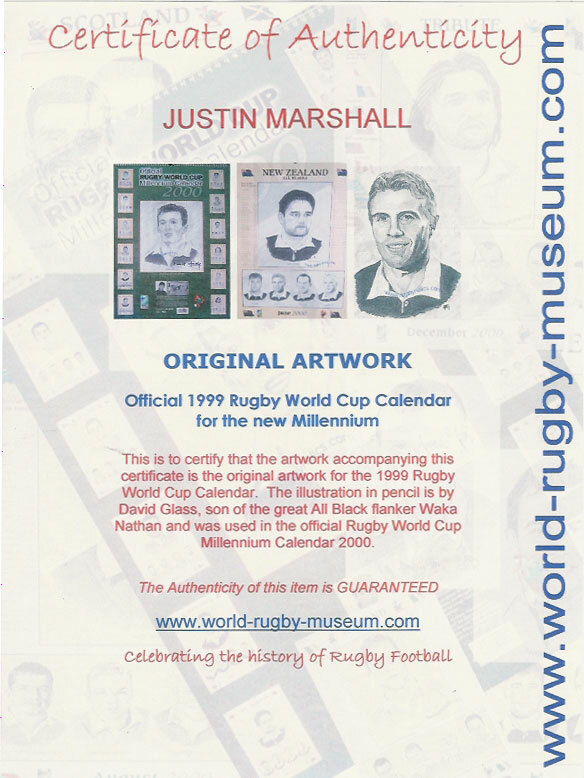 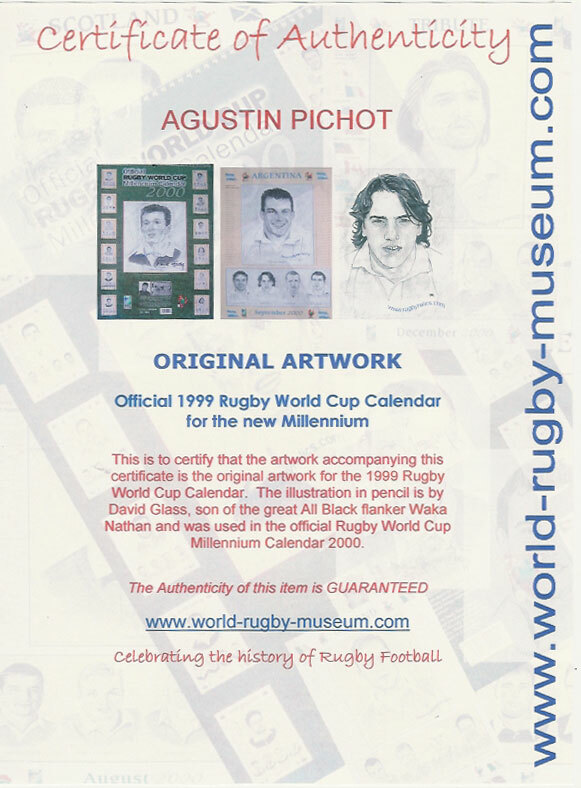 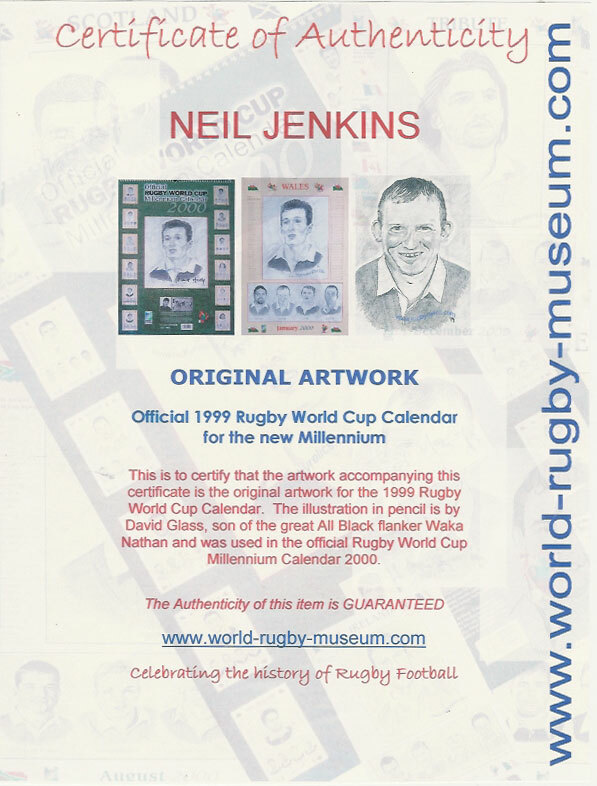 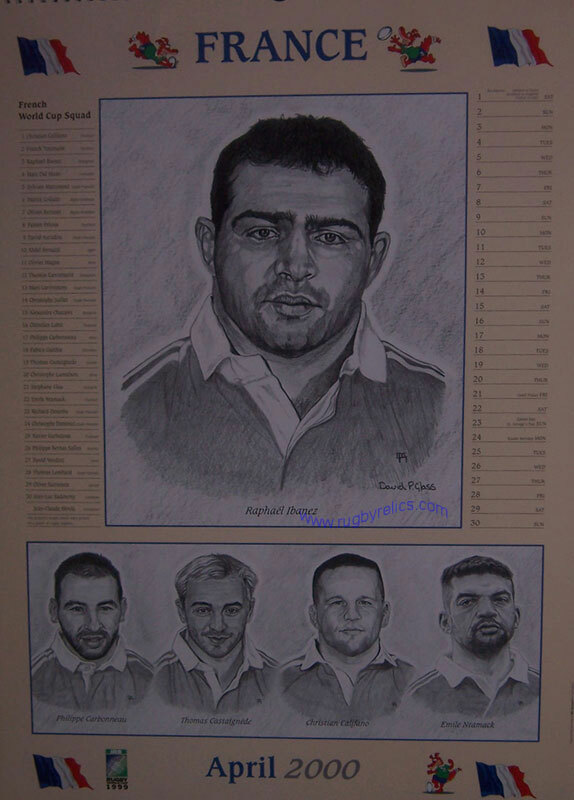 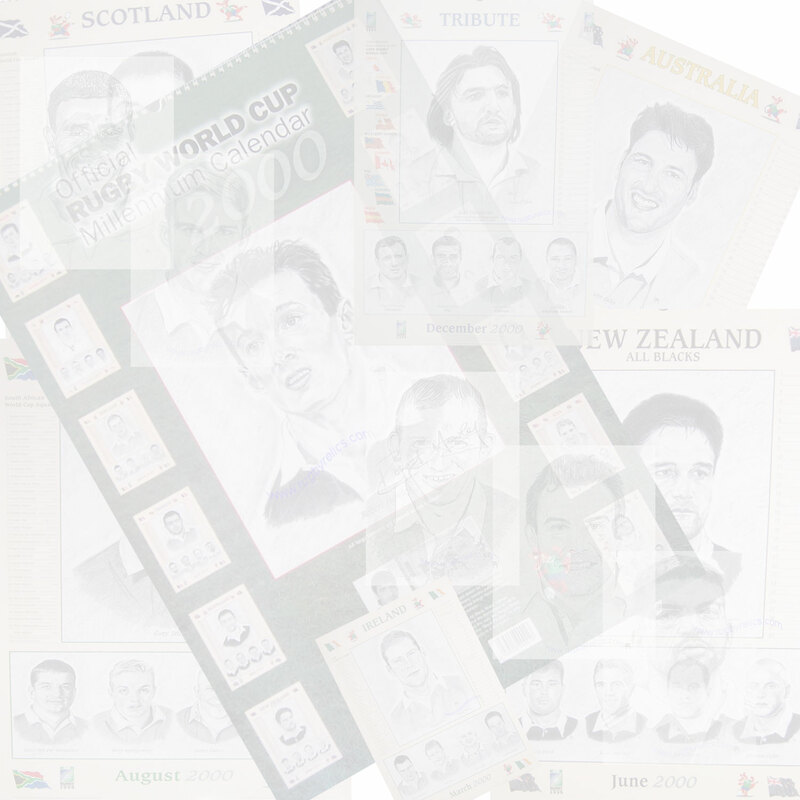 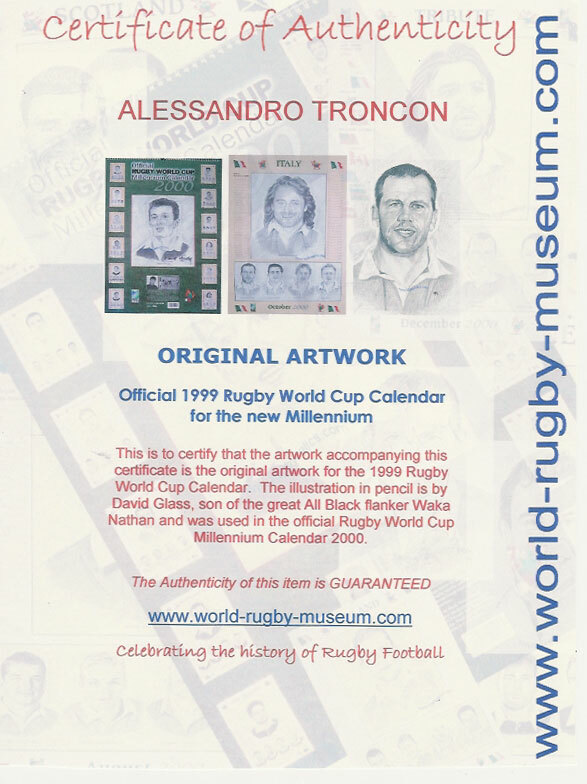 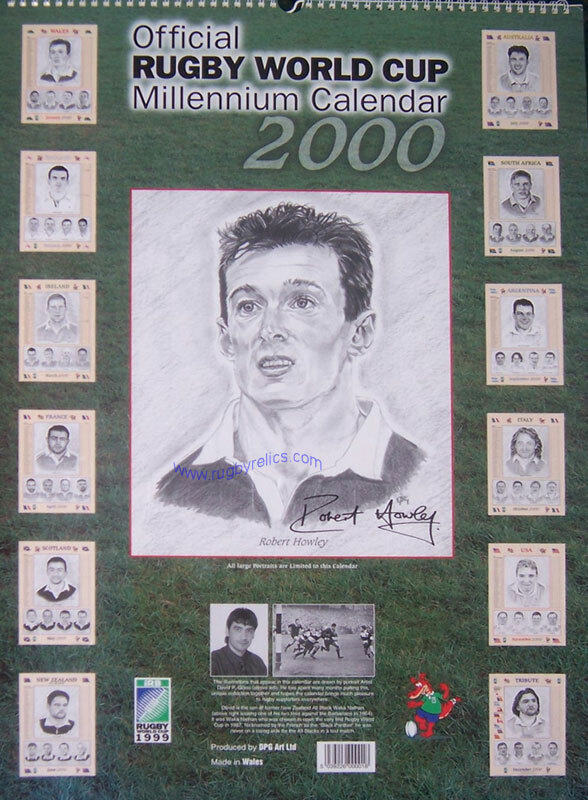 The 'Millennium - 2000 calendar was available for sale during the tournament and was an official licensed product of the 1999 Rugby World Cup. 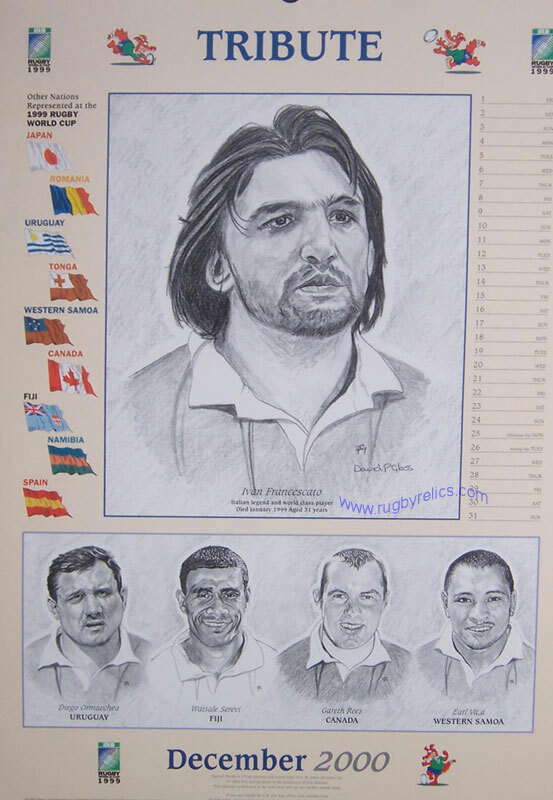 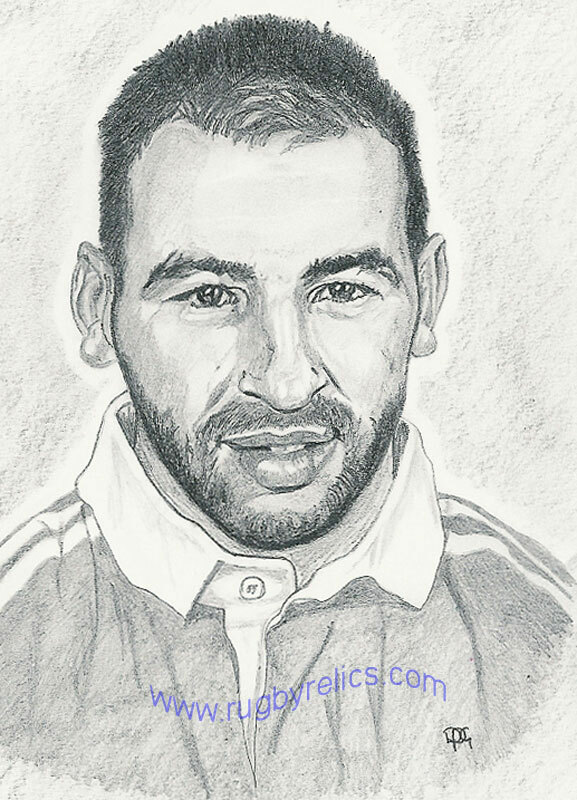 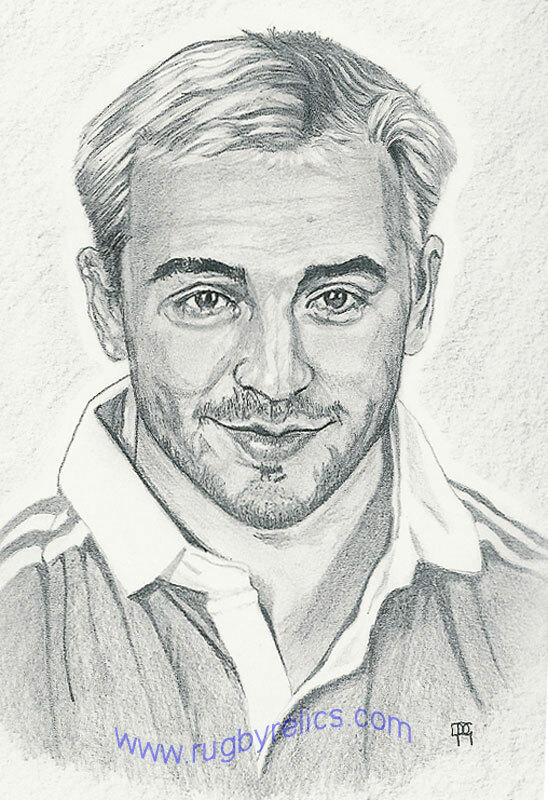 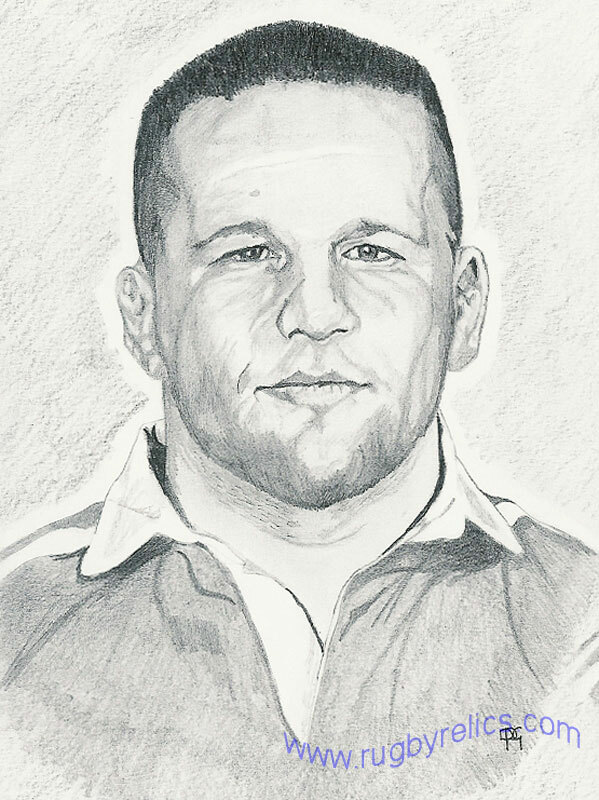 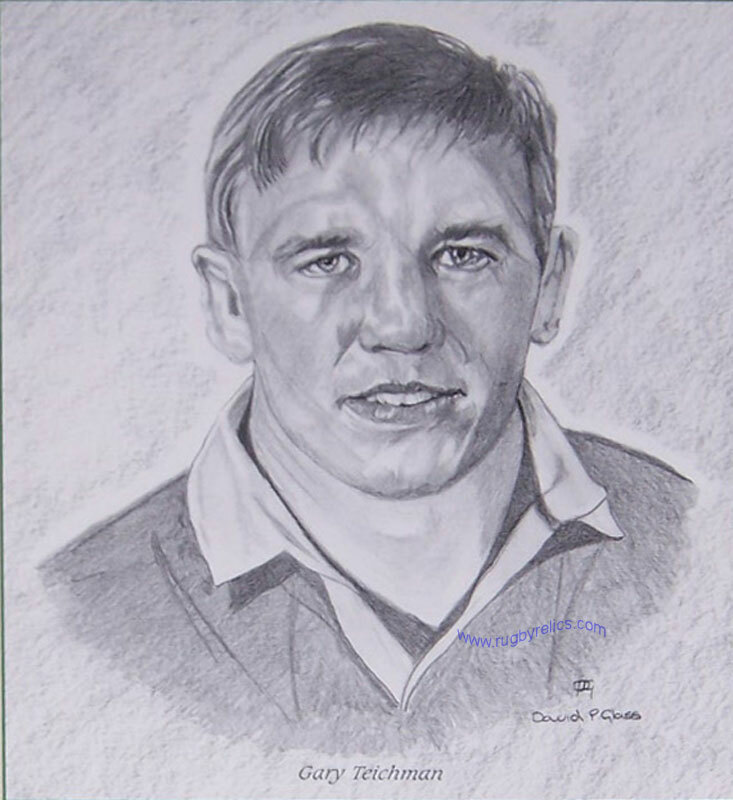 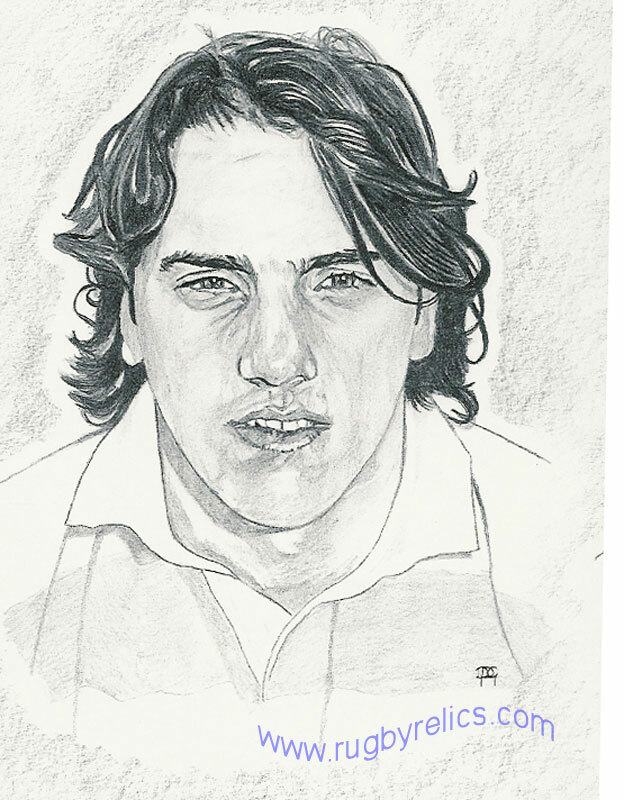 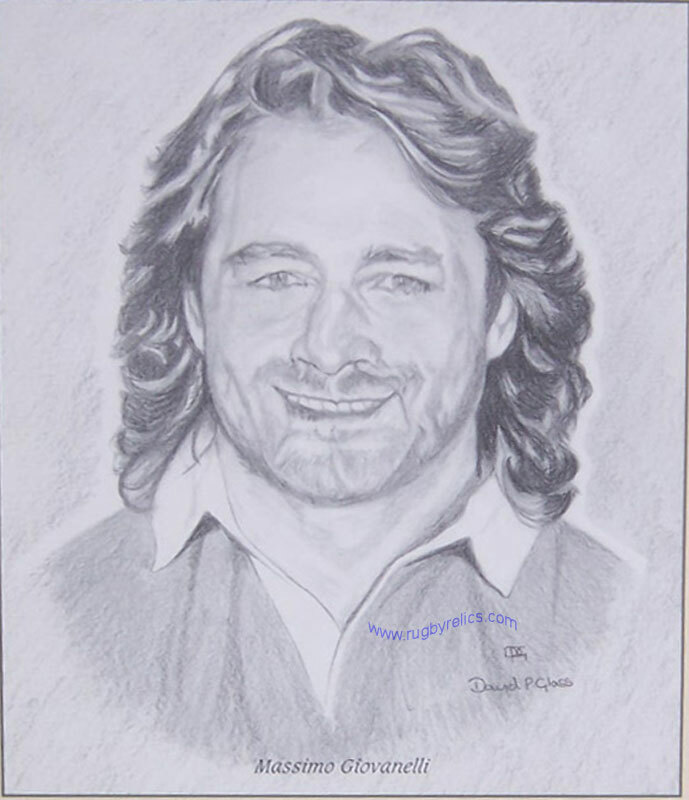 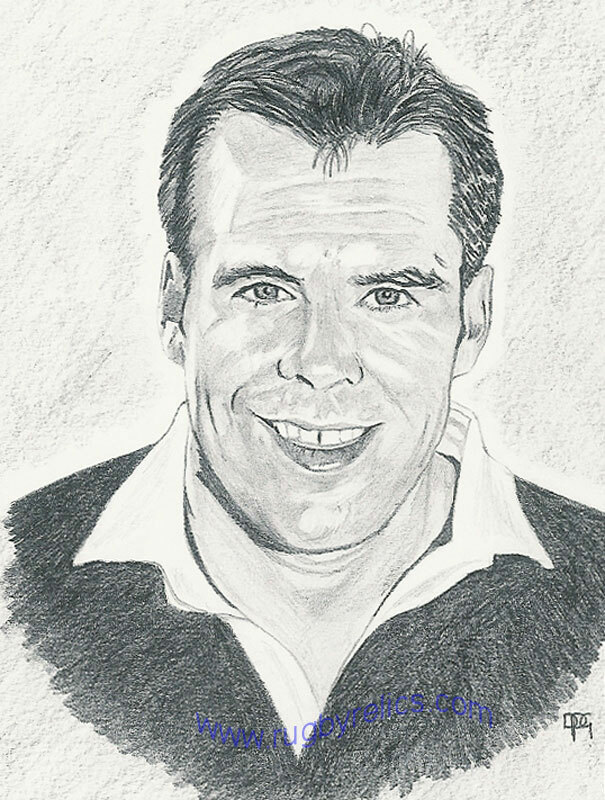 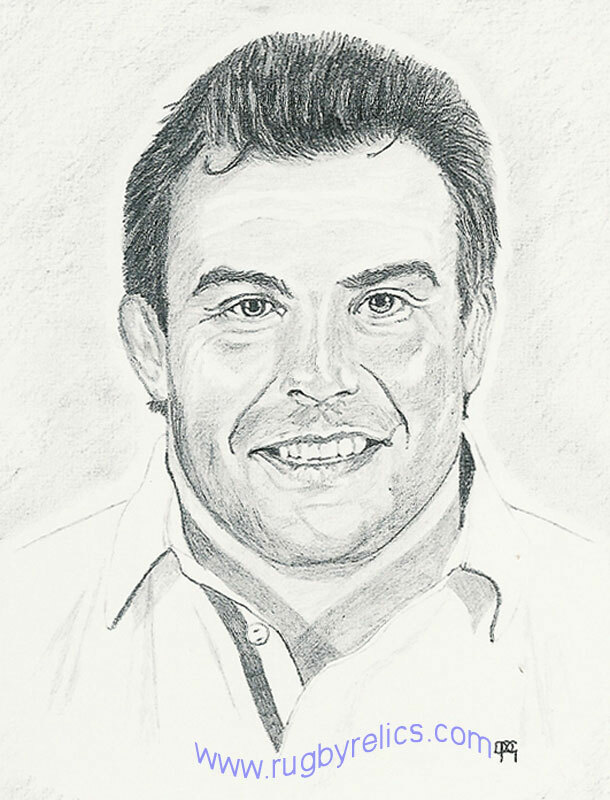 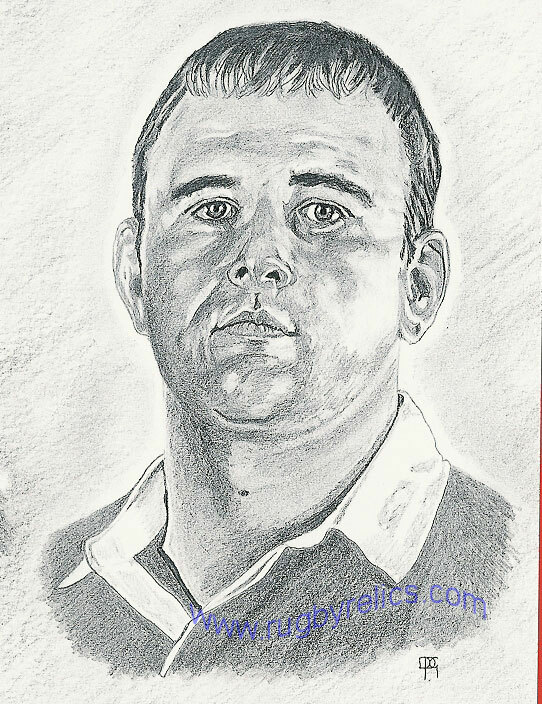 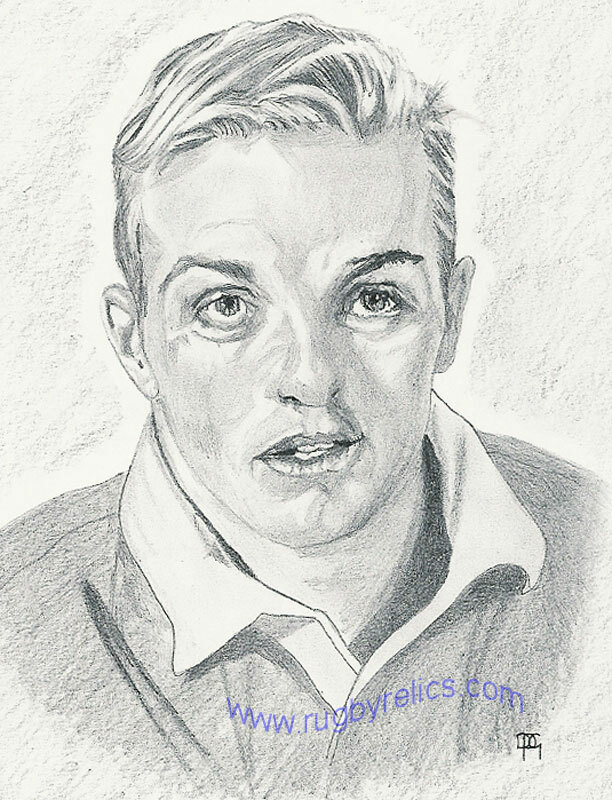 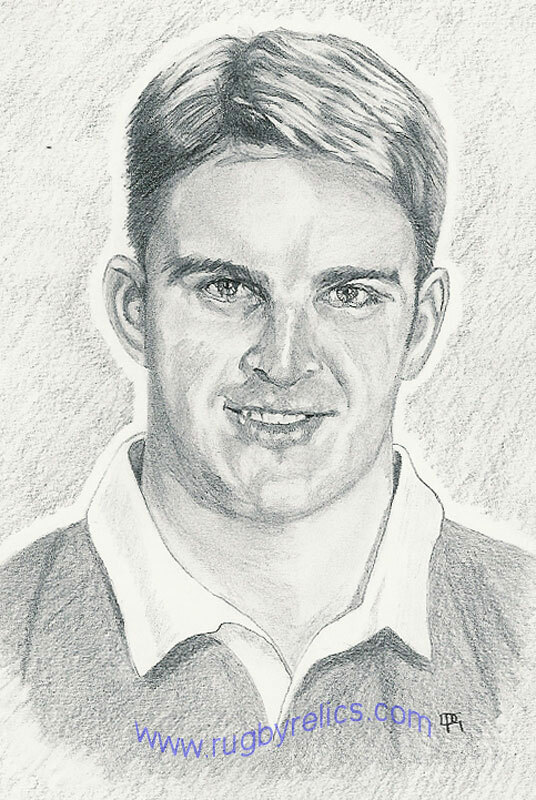 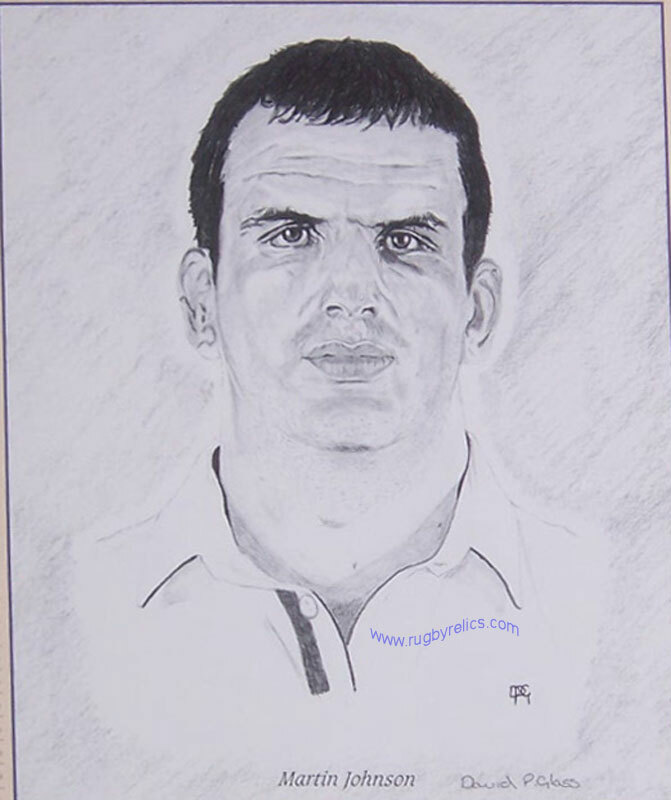 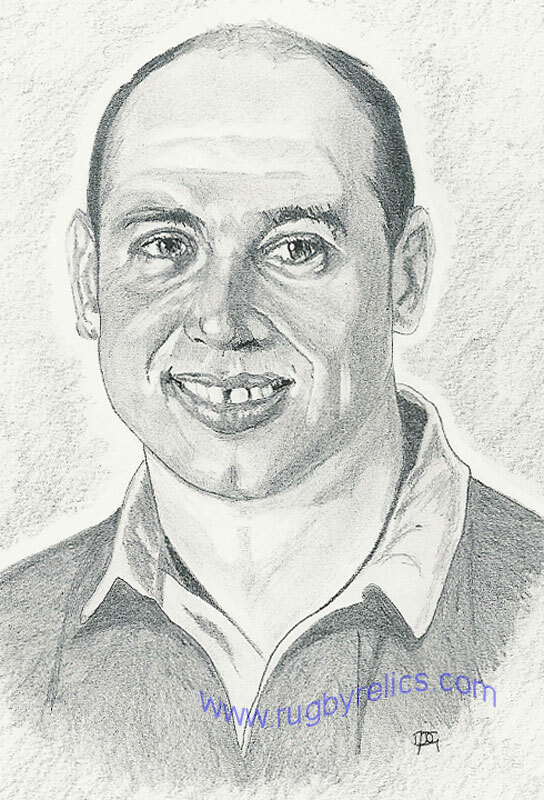 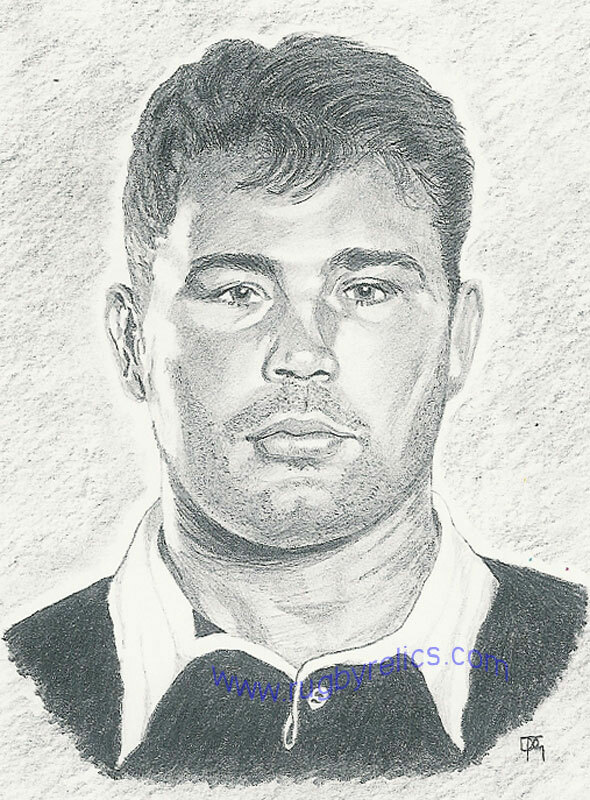 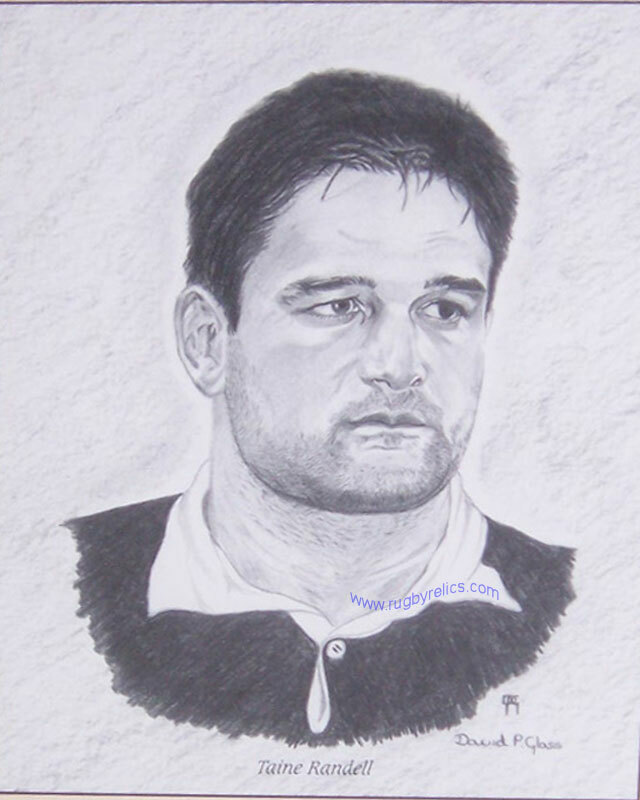 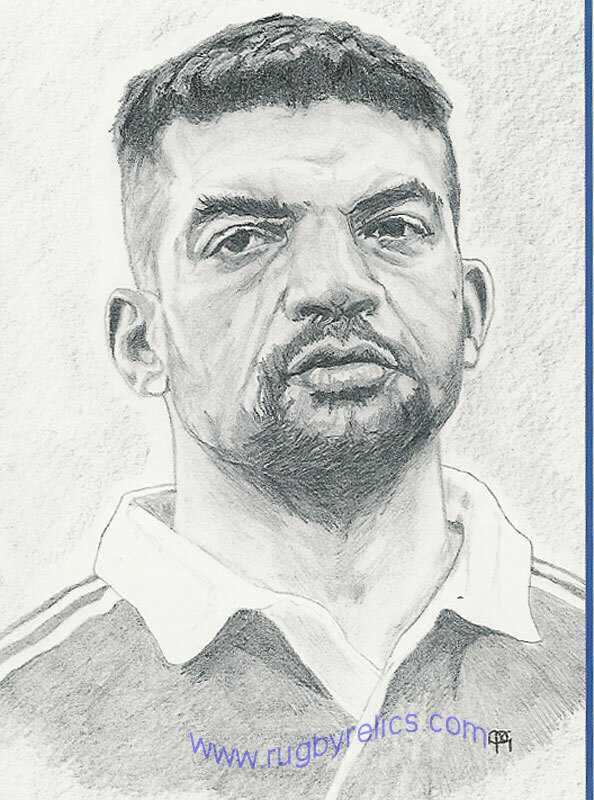 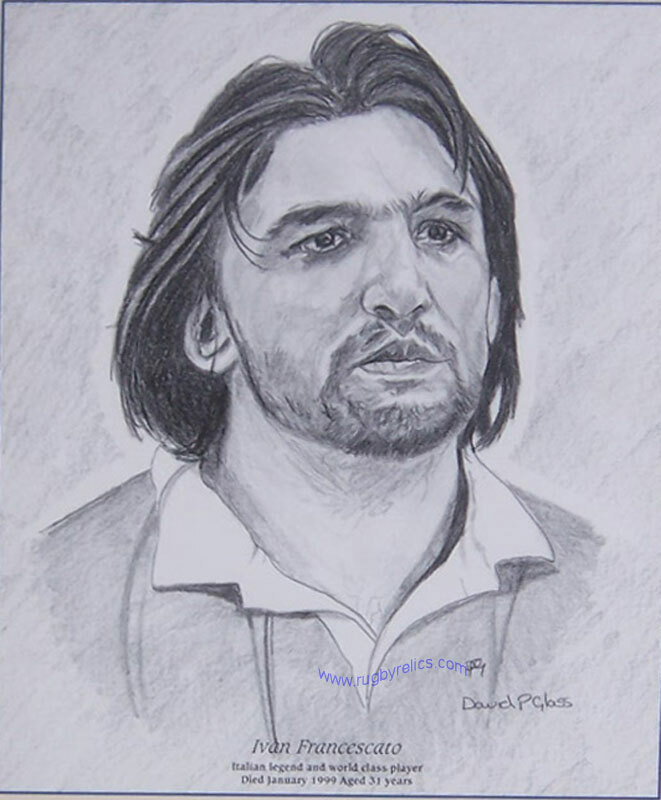 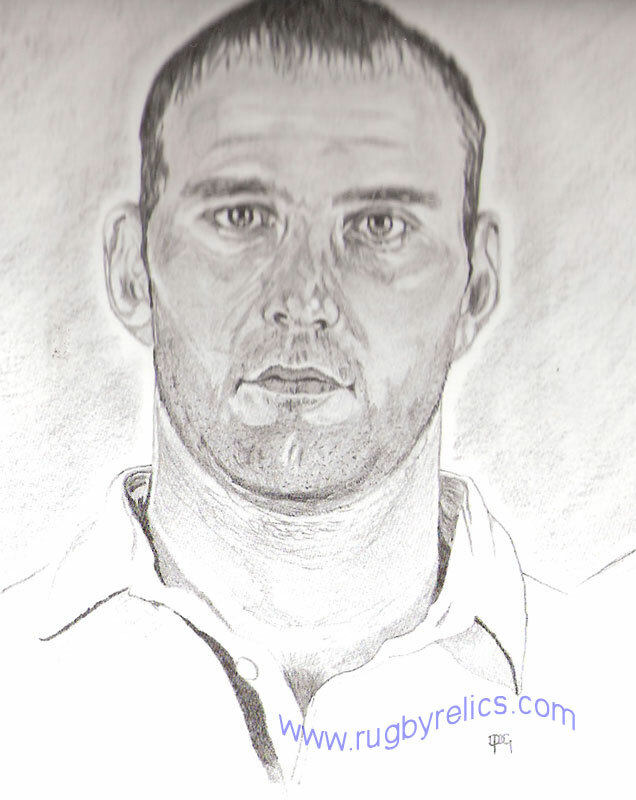 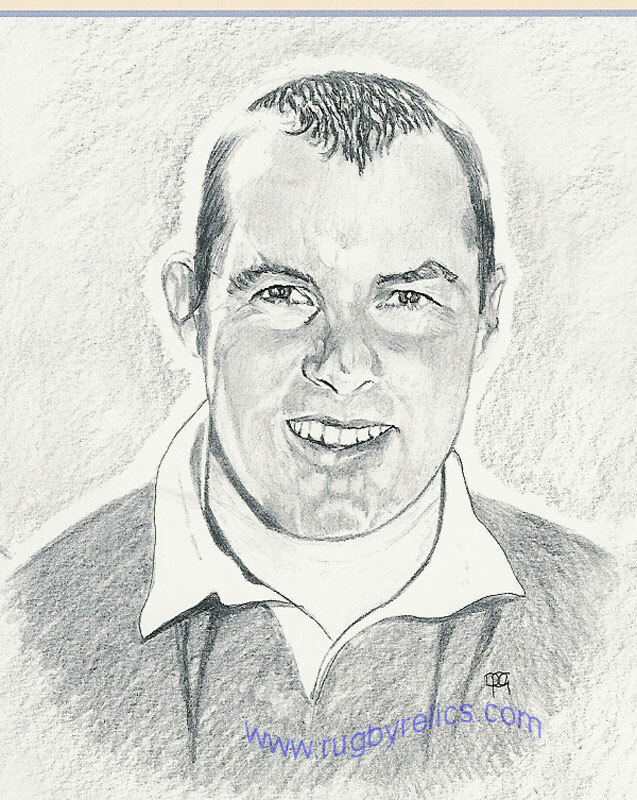 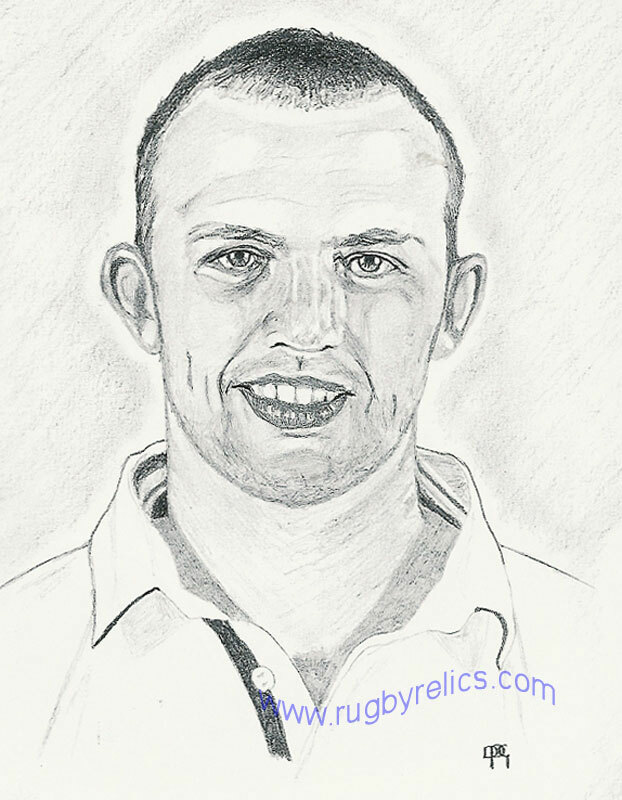 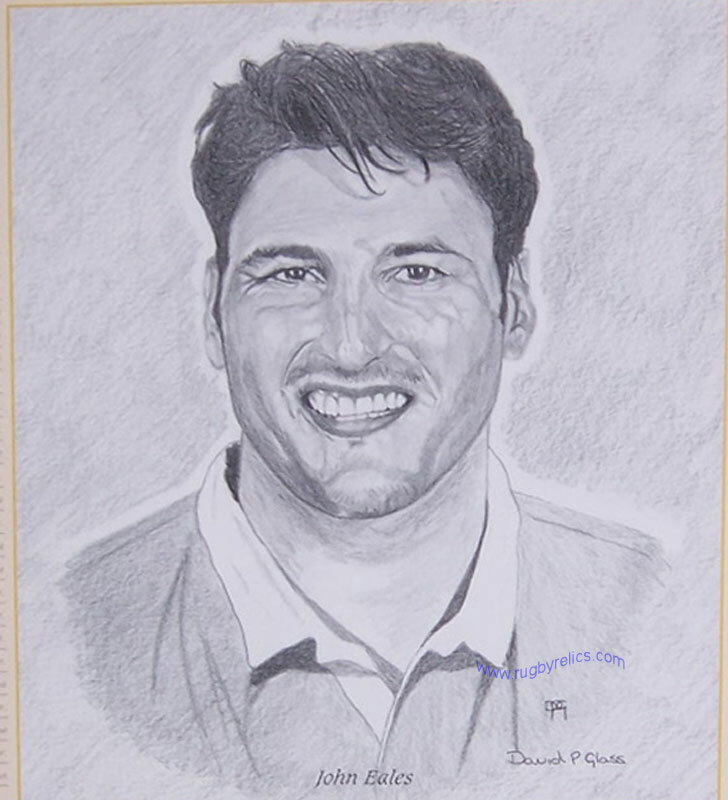 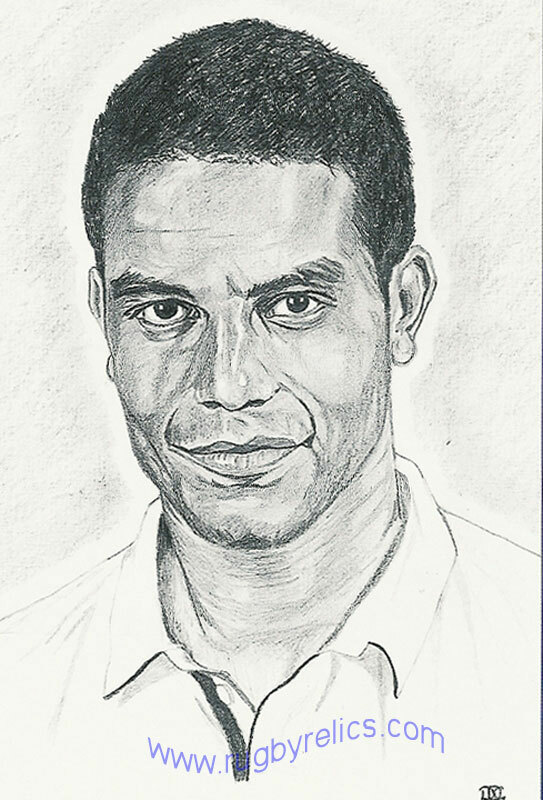 Each A3 size (16" x 11.5" 29.7cm x 42cm) portrait is unique, therefore there is only one available, this is an excellent opportunity to purchase quality artwork of the world's finest players. 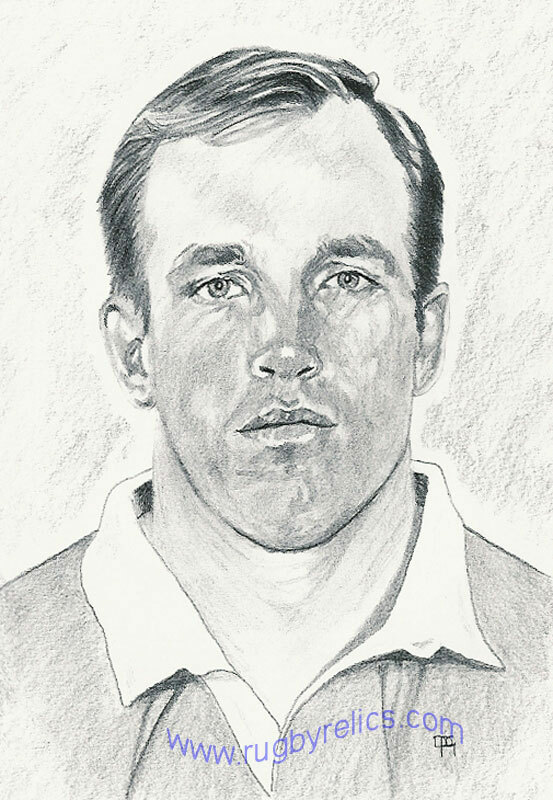 David is the son of legendary All Black flanker Waka Nathan (above right scoring one of his two tries against the Barbarians in 1964). 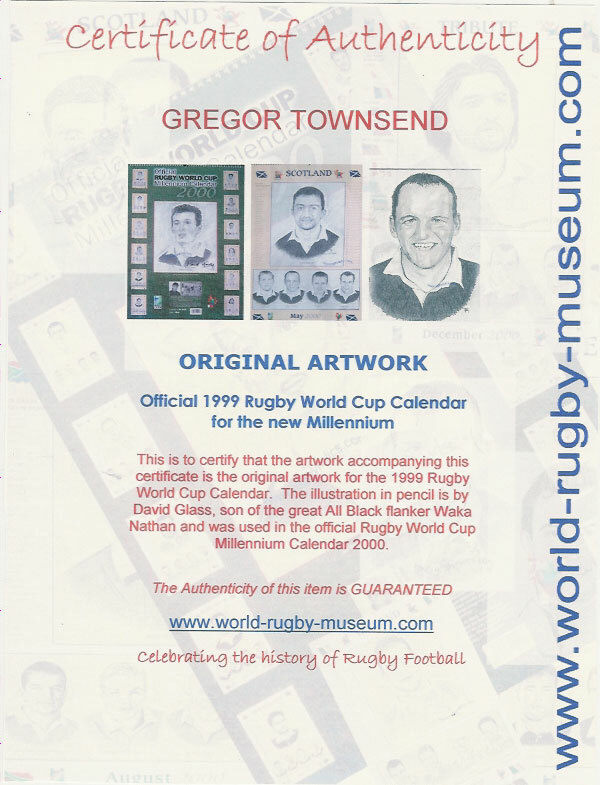 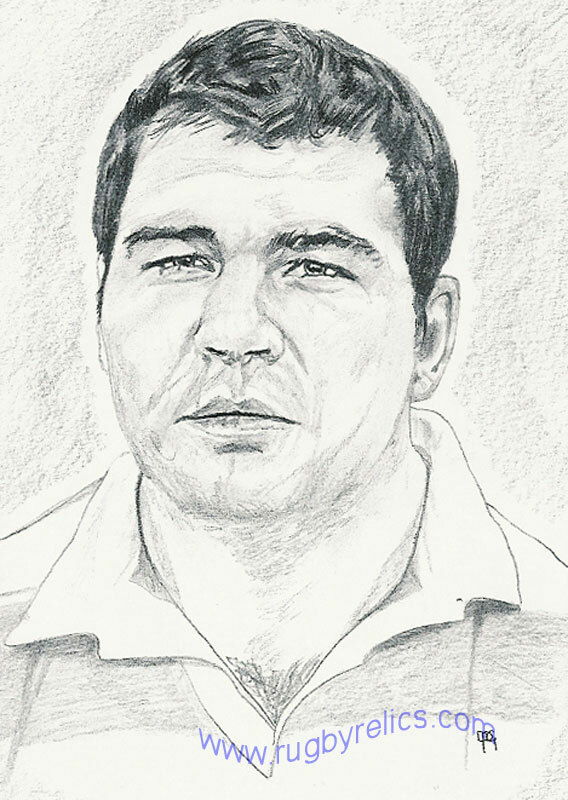 It was Waka Nathan who was chosen to open the very first Rugby World Cup in 1987. 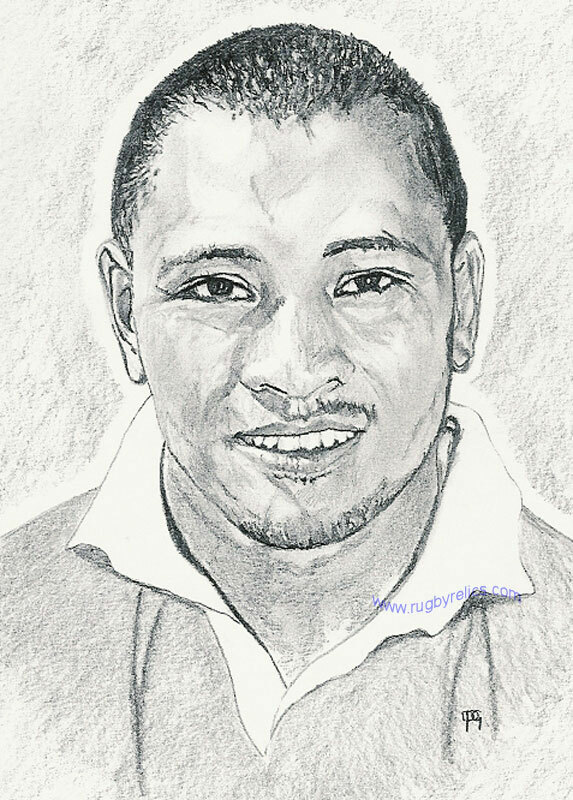 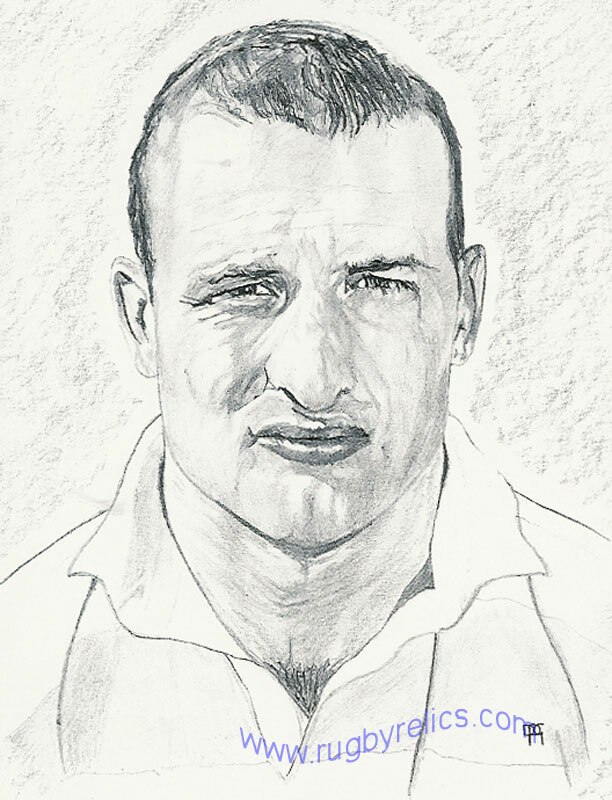 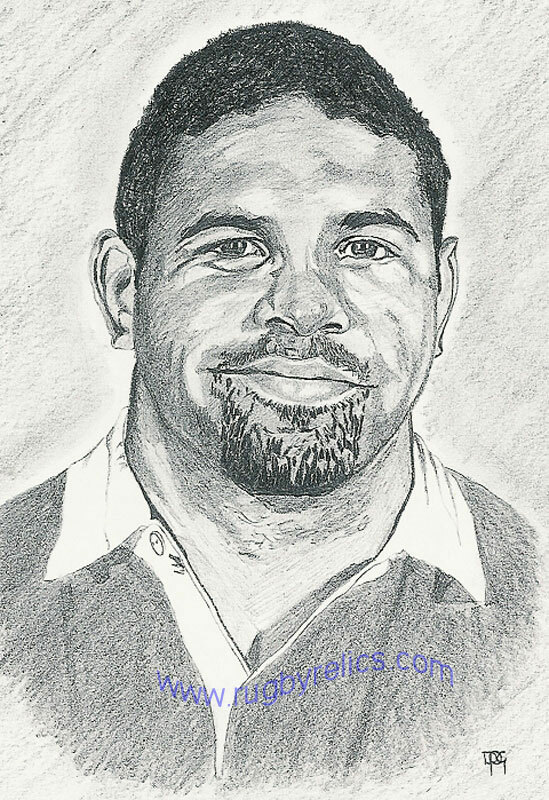 Nicknamed by the French as the ''Black Panther'' he was never on a losing side for the All Blacks in a test match. 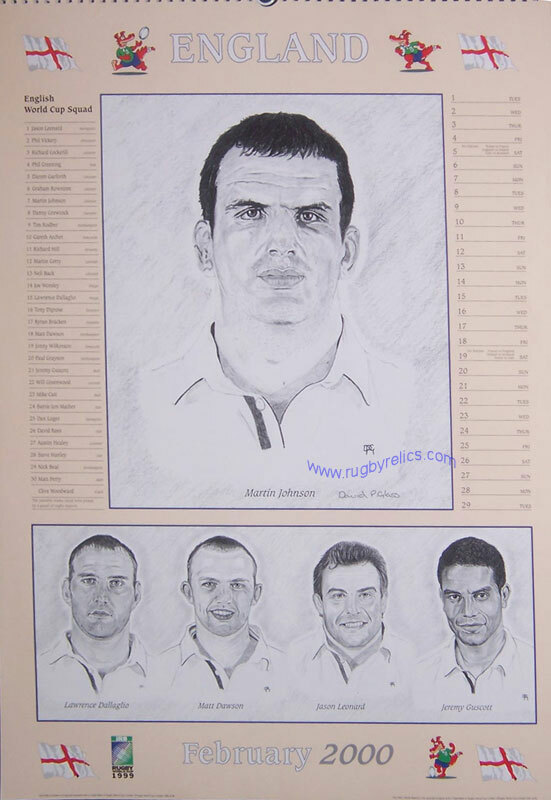 The pencil illustrations are A3 in size 16" x 11.5" (29.7cm x 42cm). 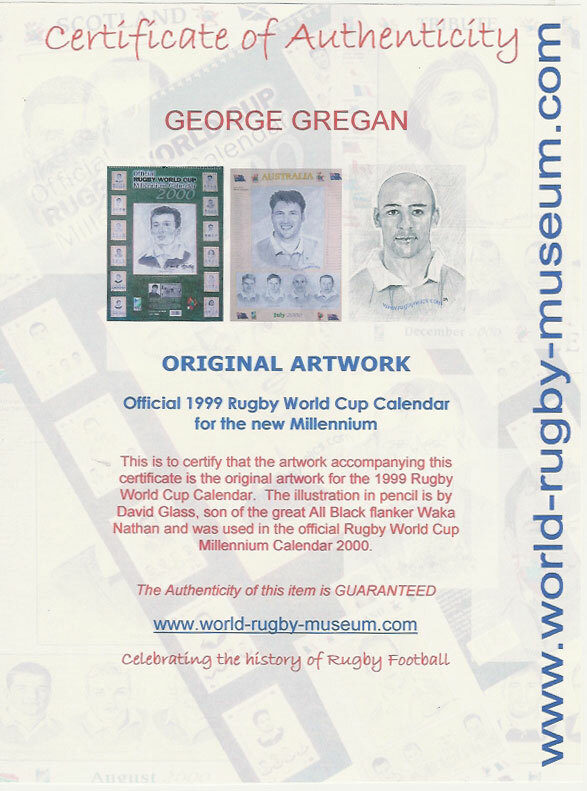 All are guaranteed original and come together with a Certificate of Authenticity. 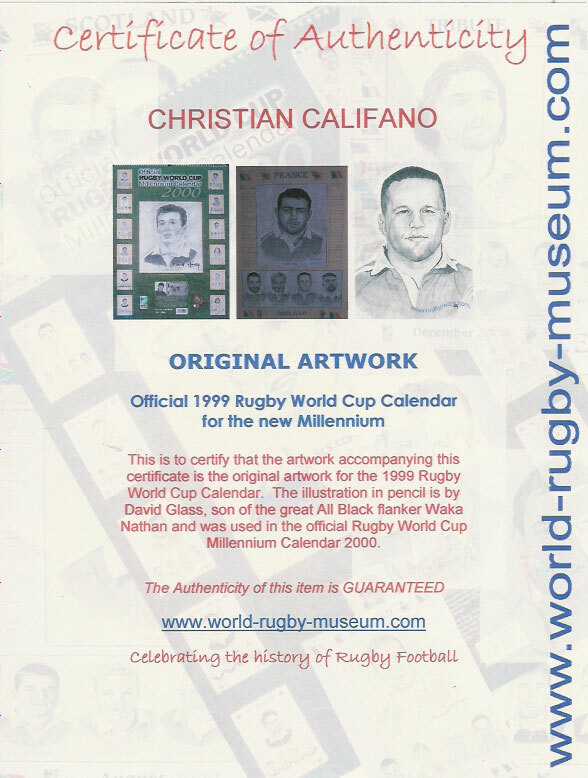 Some of the artwork is available mounted together with an original autograph of the player, this is only possible where indicated. 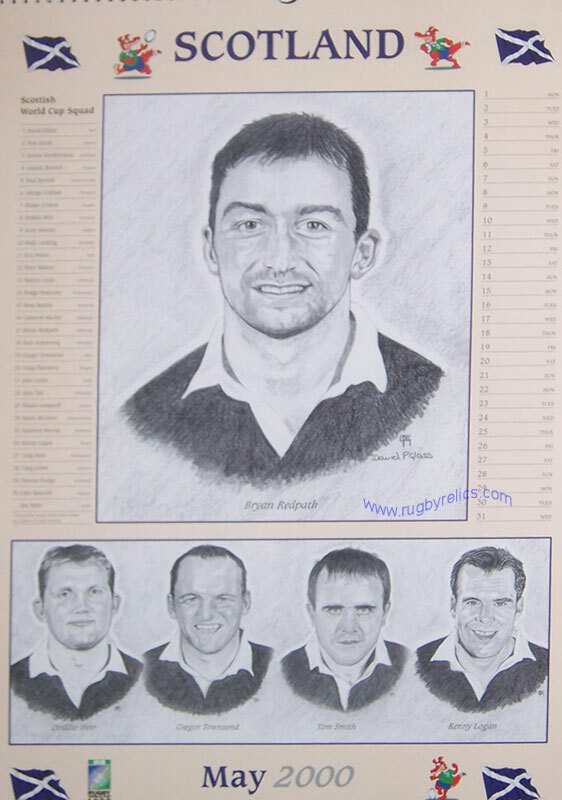 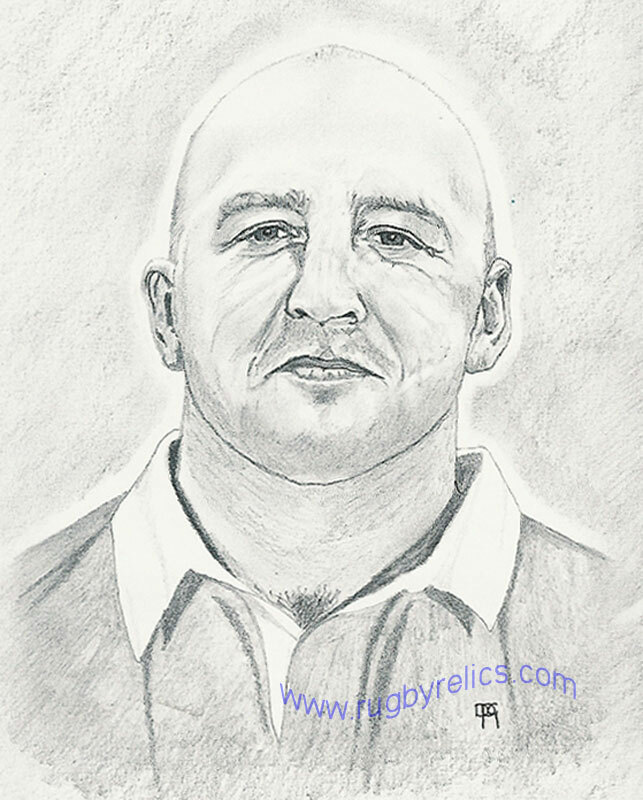 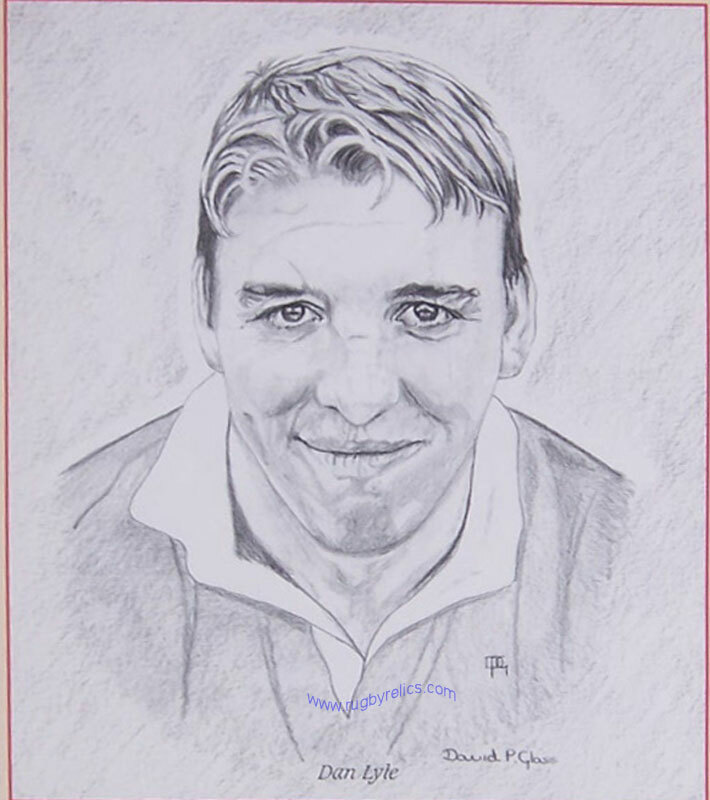 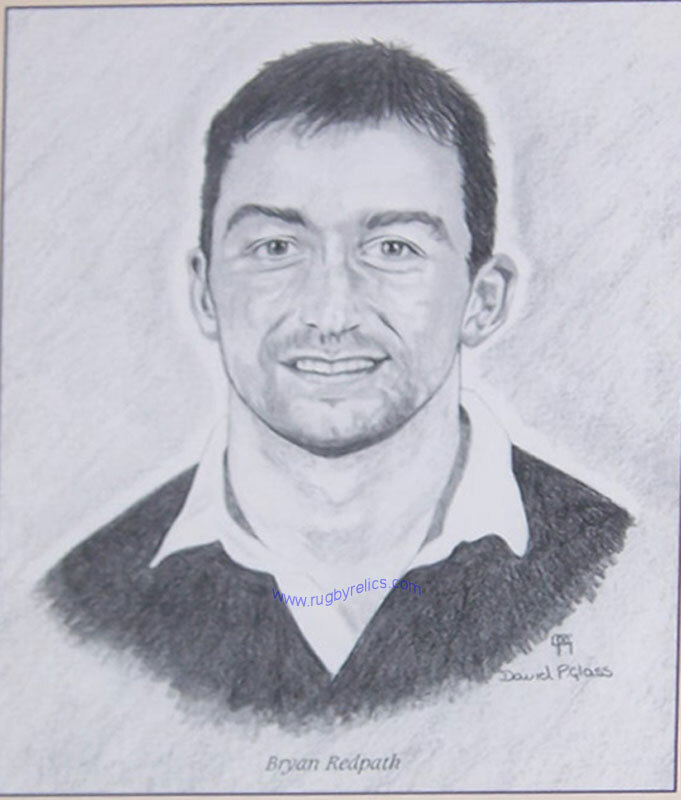 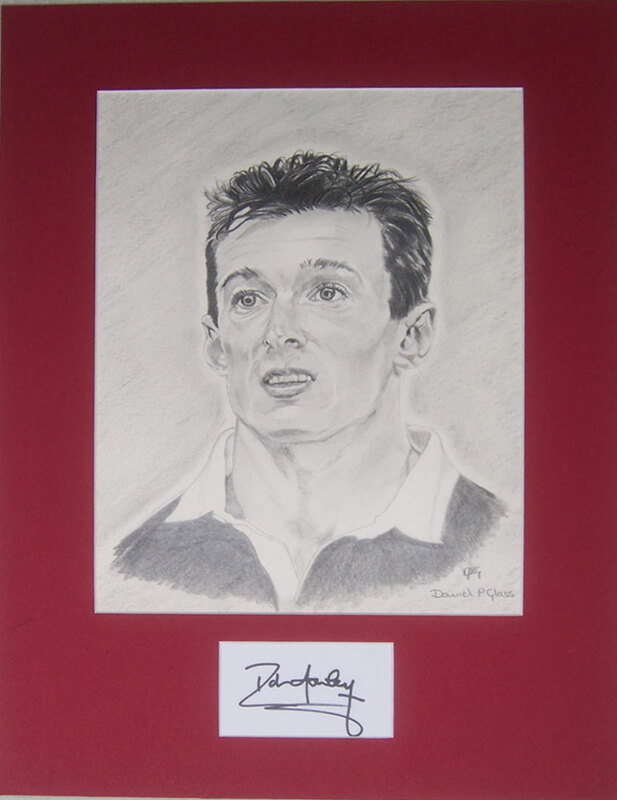 Please see Rob Howley below for an example of an original autographed mounted with the artwork. 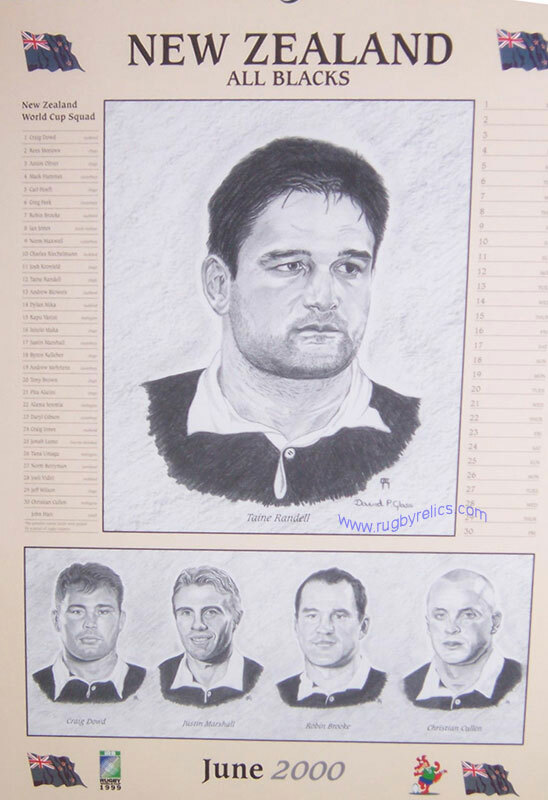 All are available framed and glazed at an extra £45.00 each. 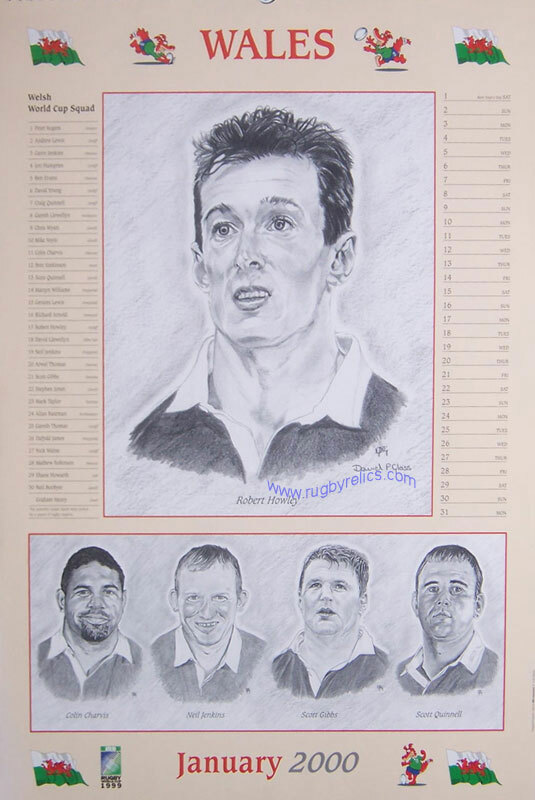 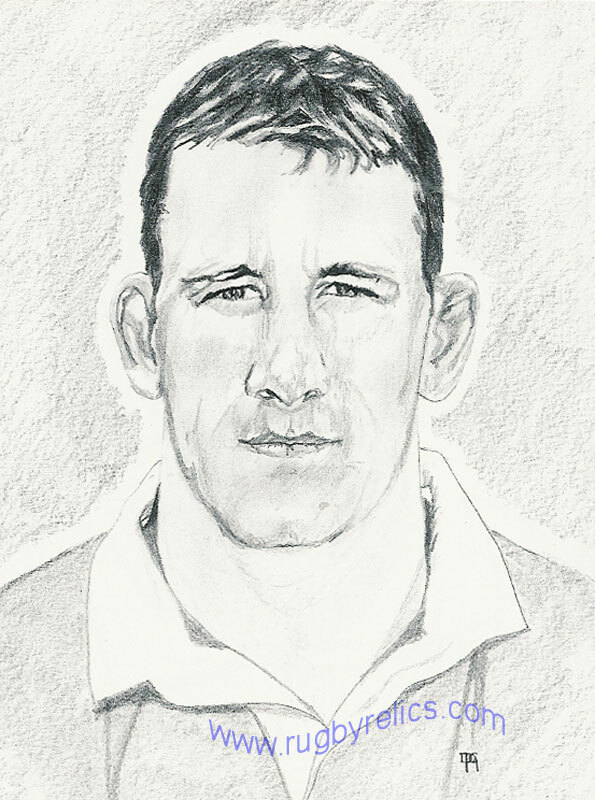 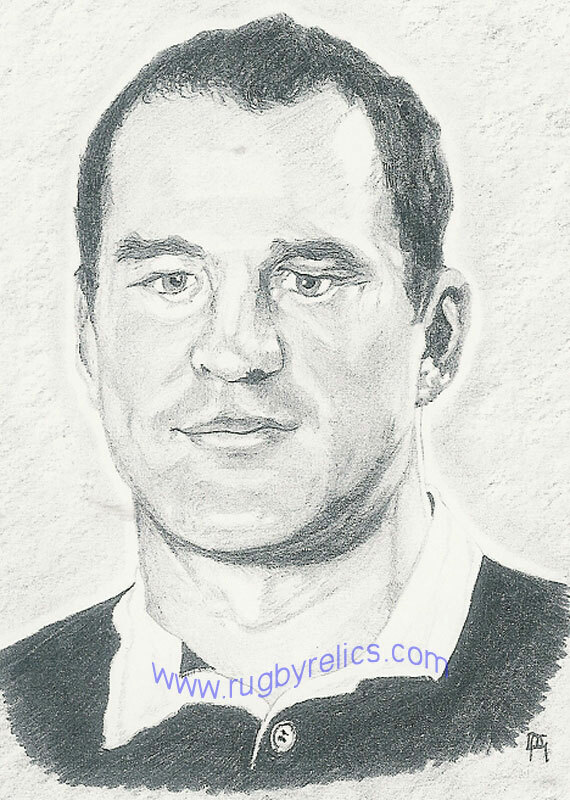 Rob Howley - Available mounted with autograph only, see illustration.